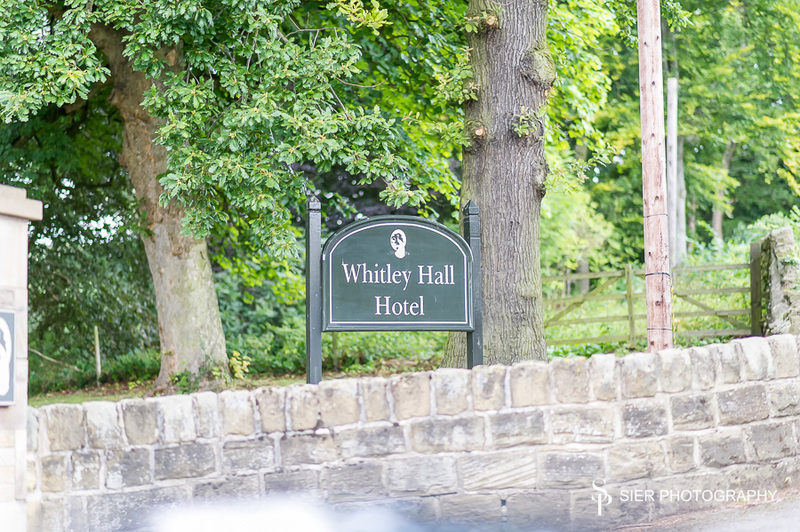 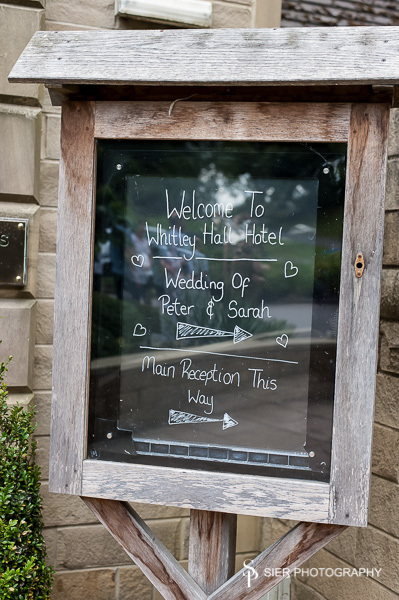 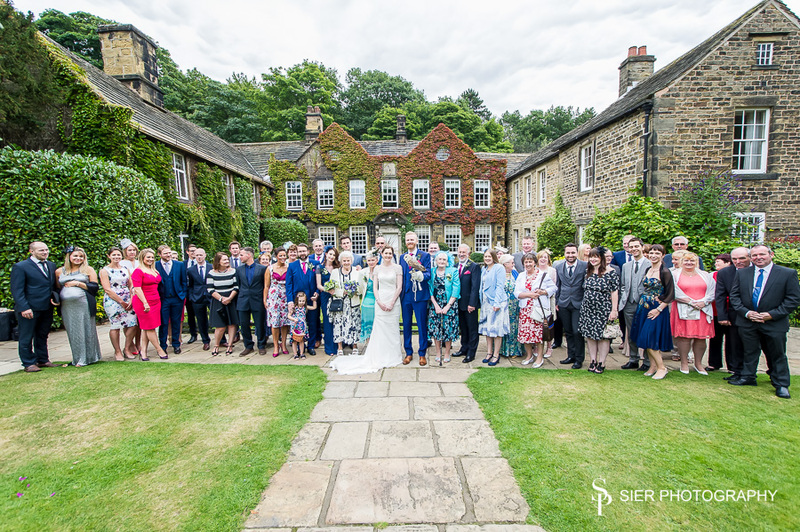 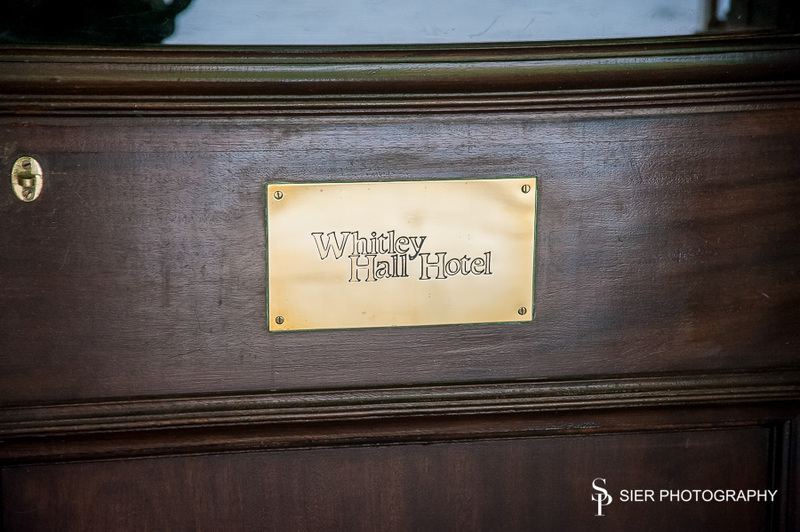 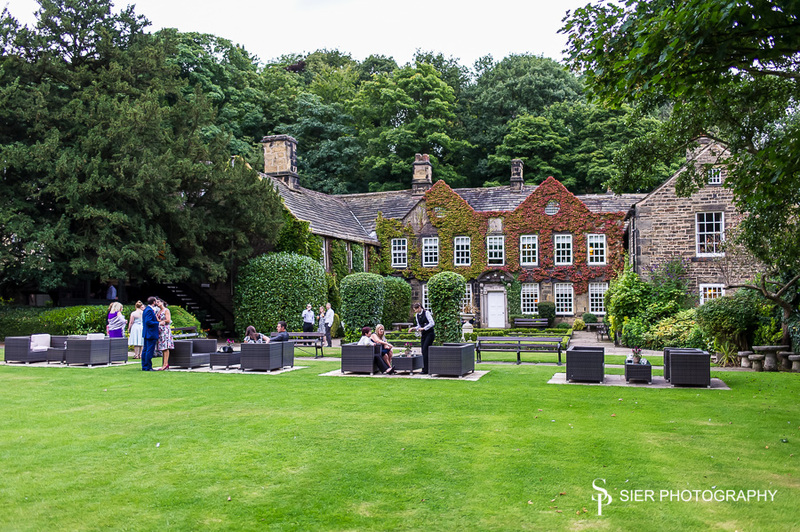 It was a beautiful Sunday morning mid August as we set off to Whitley Hall Hotel, in the north Sheffield. 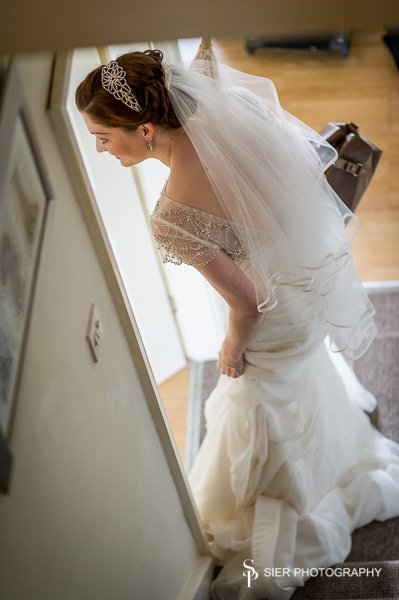 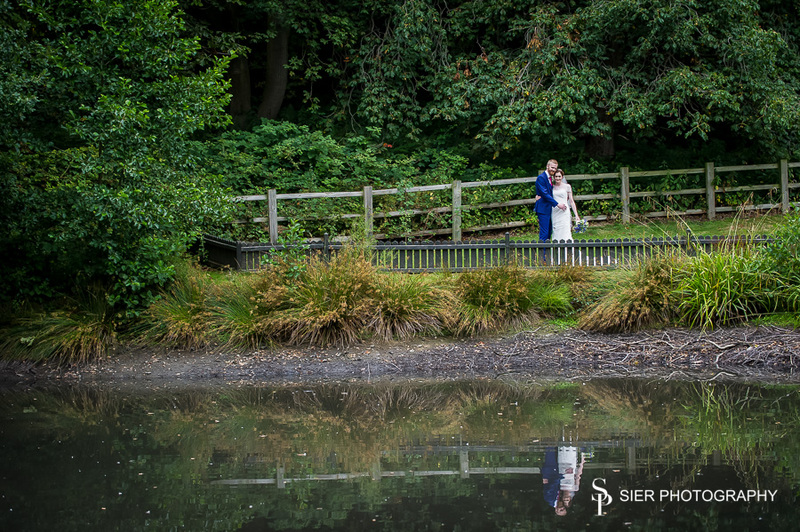 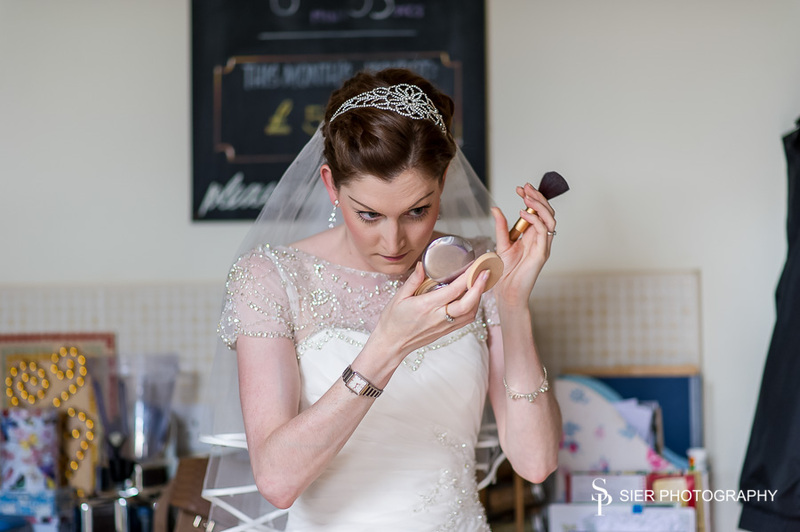 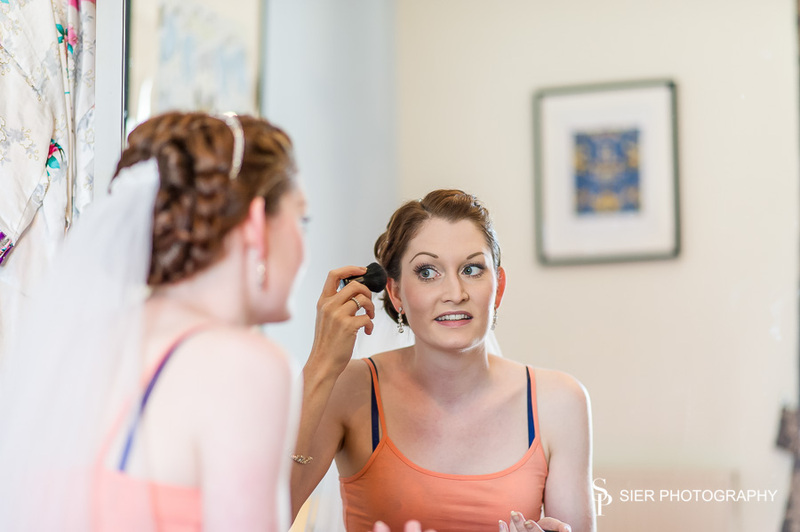 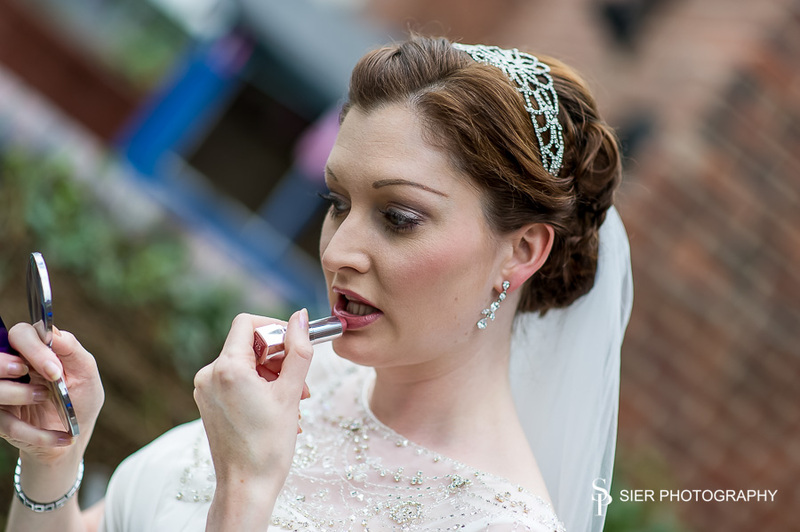 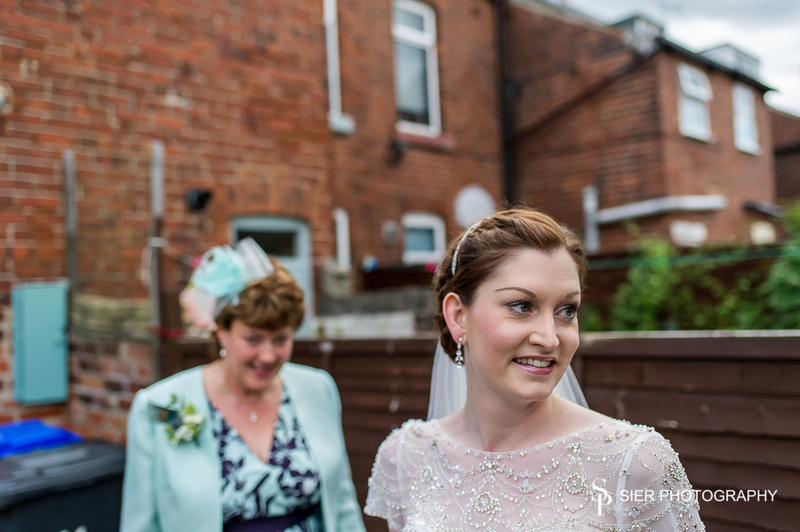 On route we were stopping at Sarah & Peter’s home to capture the final preparations of the stunning bride and her equally stunning two sister bridesmaid! 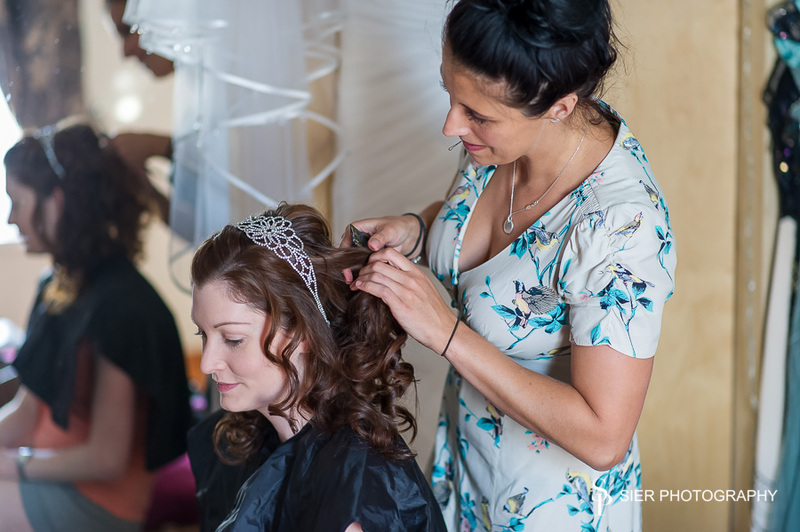 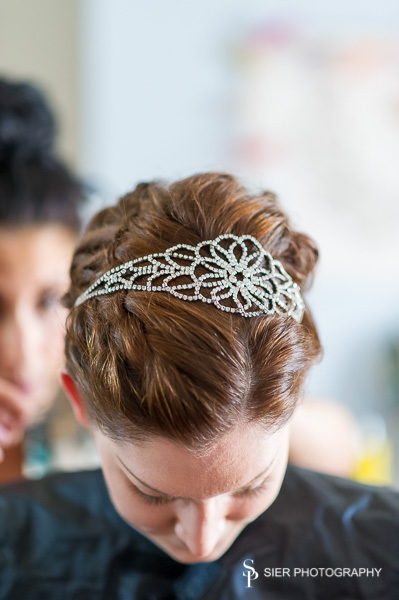 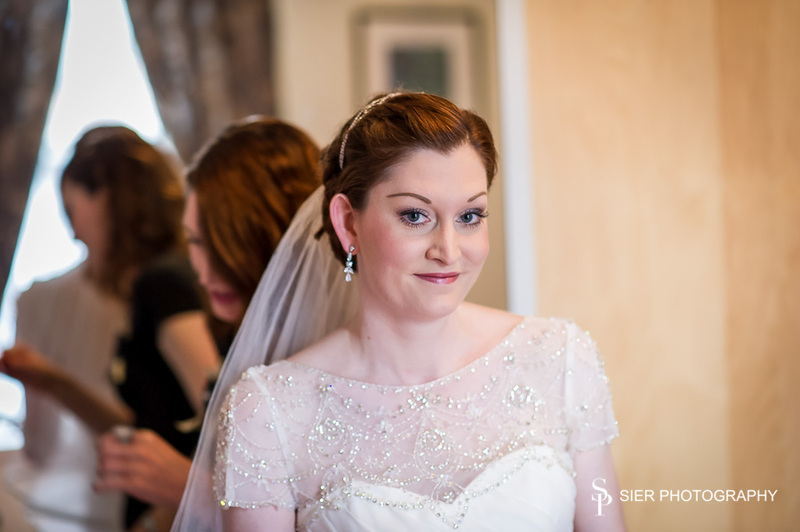 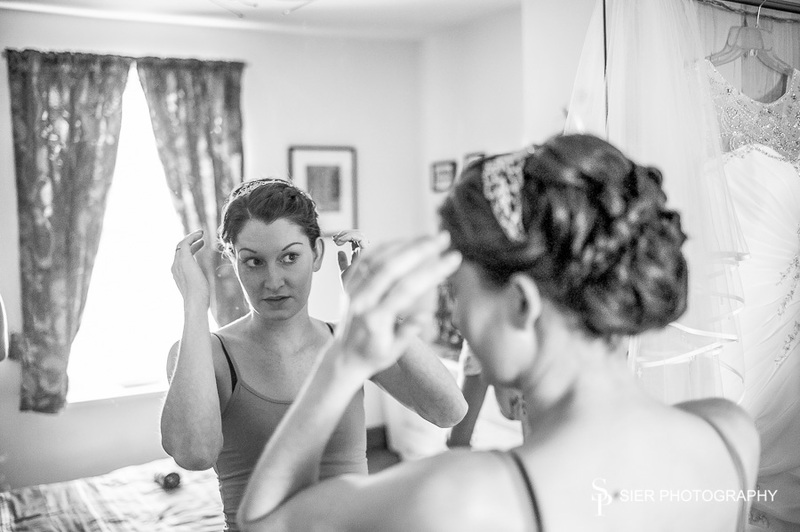 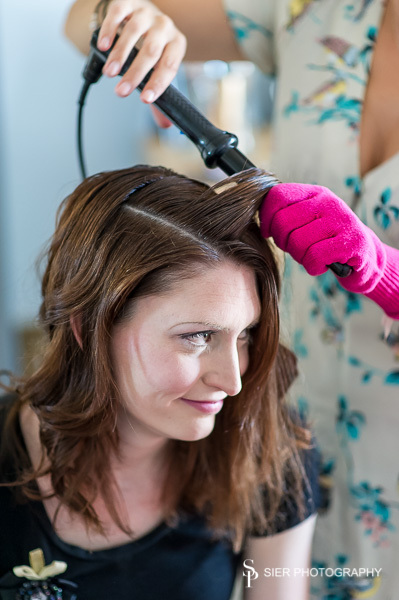 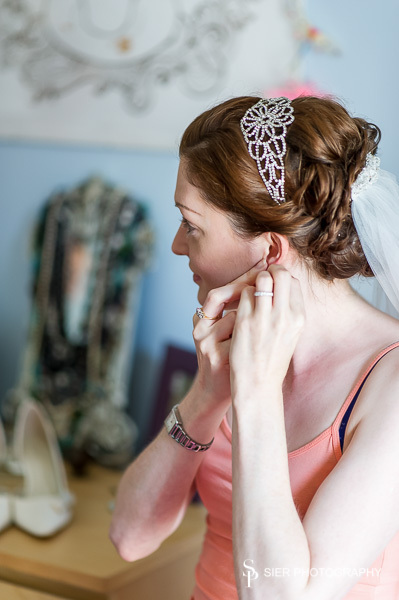 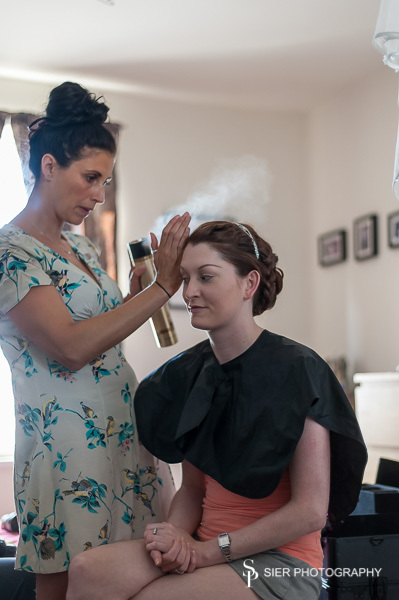 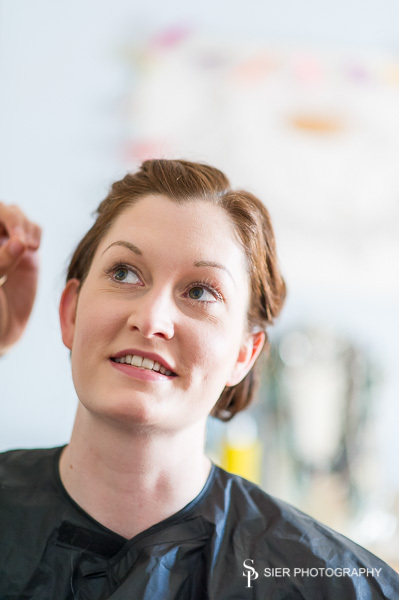 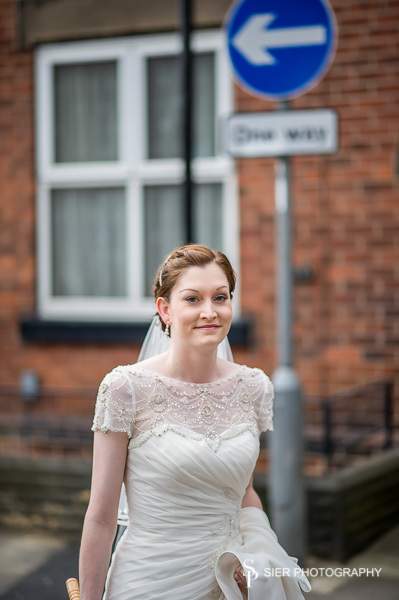 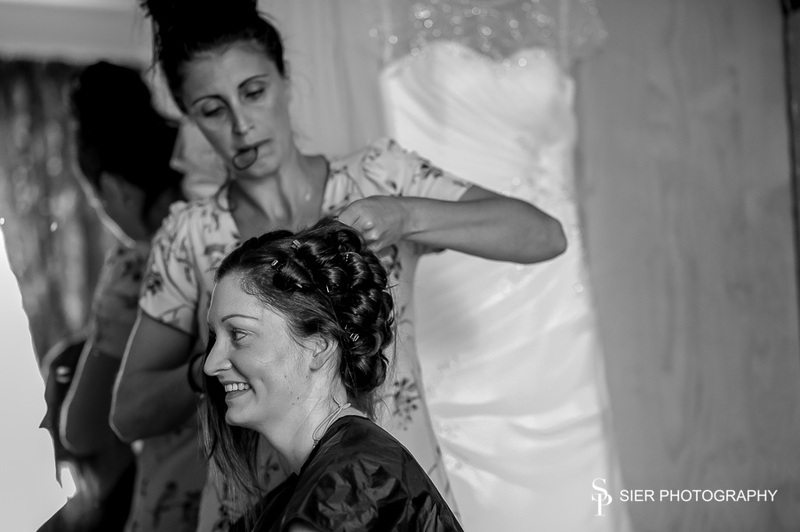 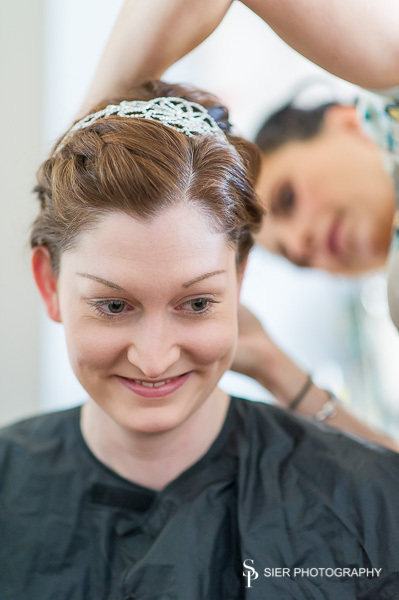 The hairstylist from Pin-up Creative was there finishing Sarah’s hair and securing the hand made intricate head piece. 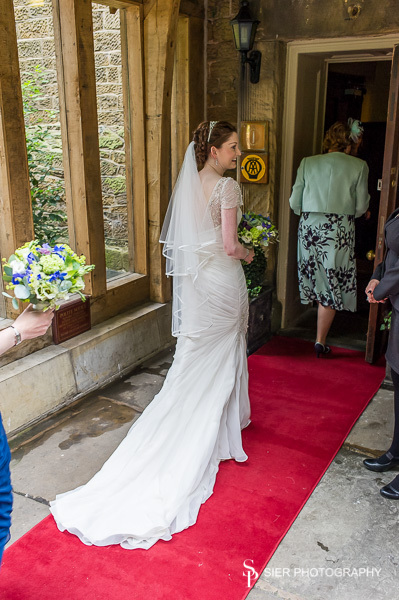 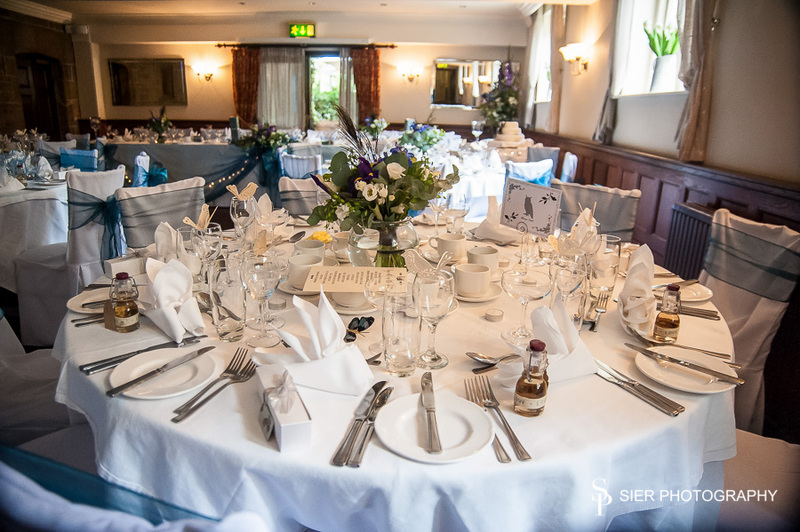 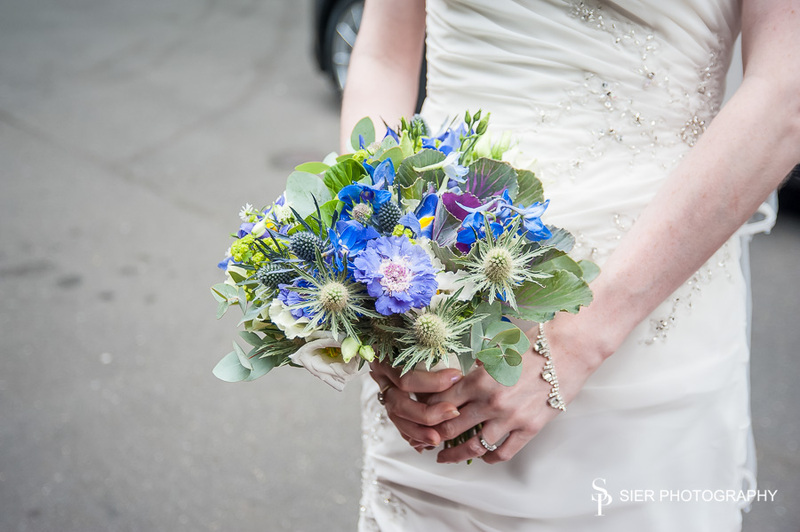 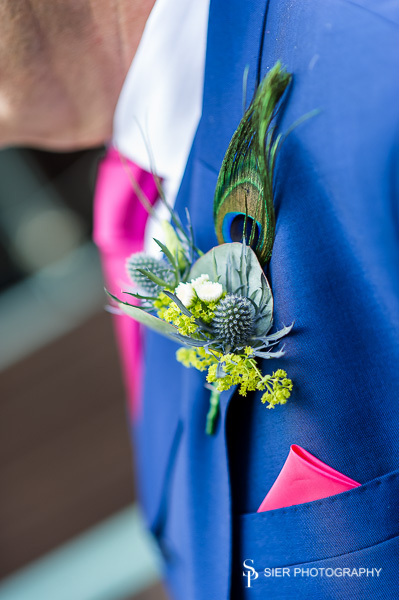 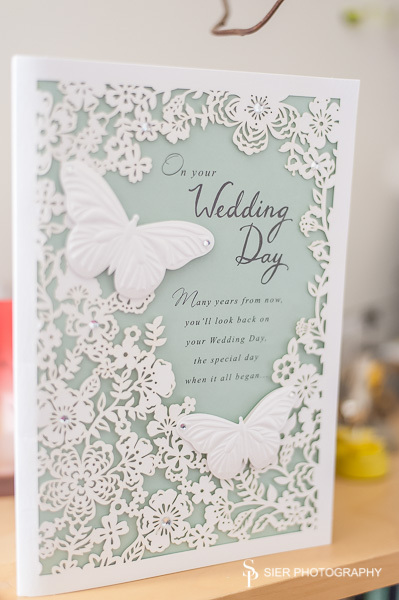 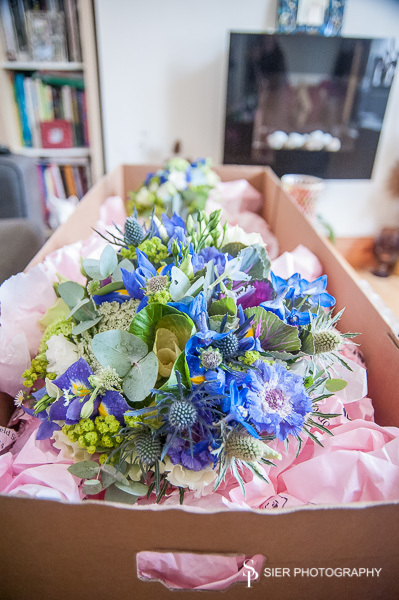 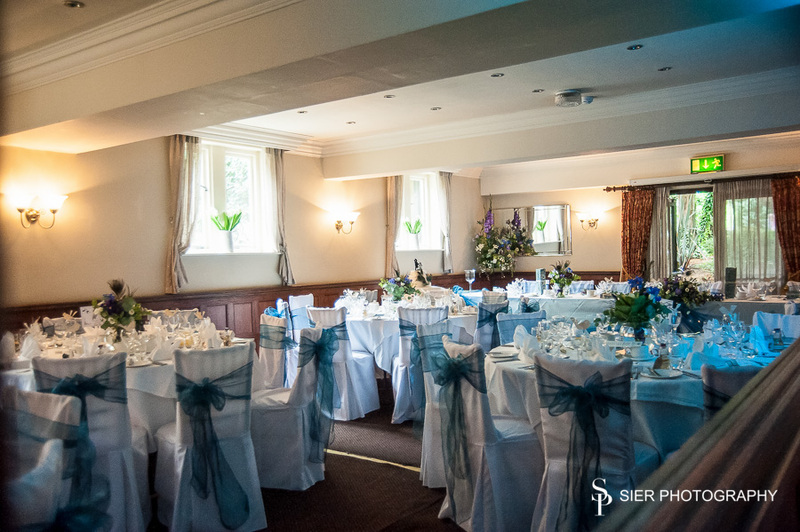 The flowers and button holes had been delivered and the peacock colour scheme and feathers that pulled together the link with their chosen venue had been incorporated beautifully. 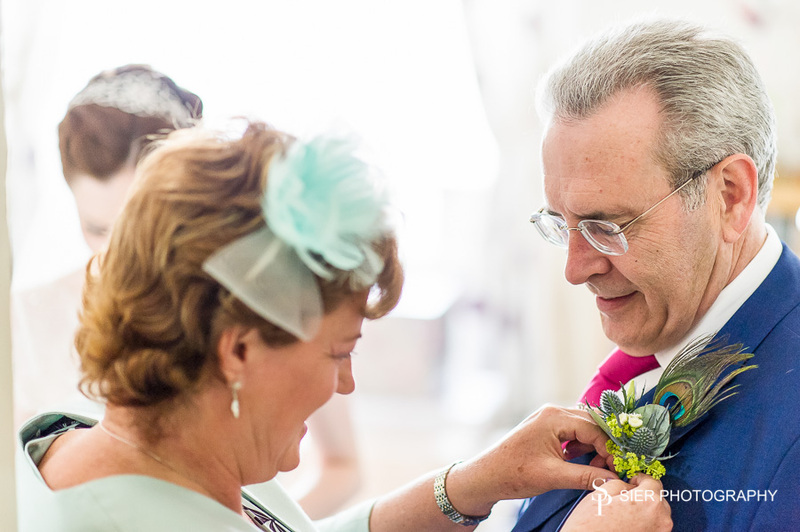 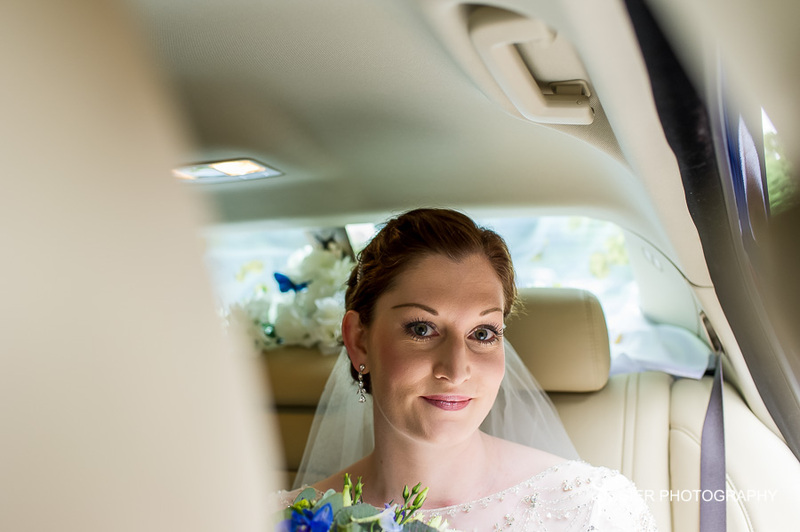 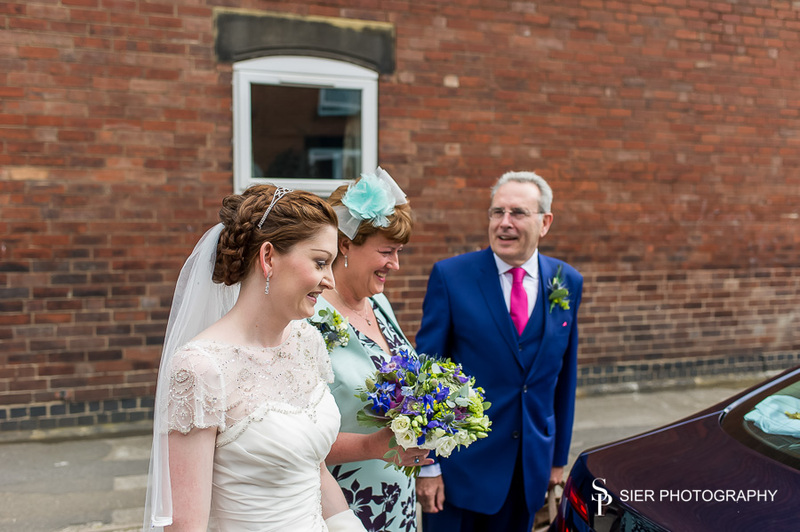 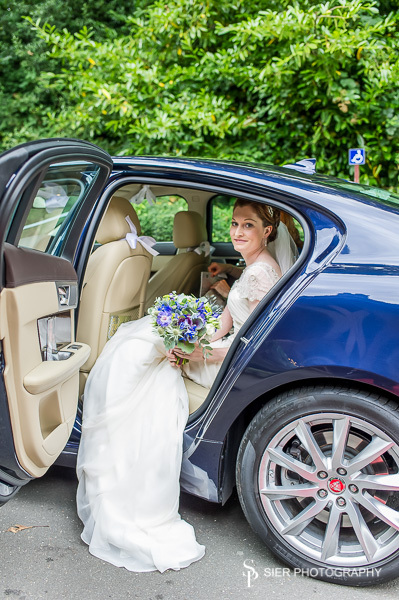 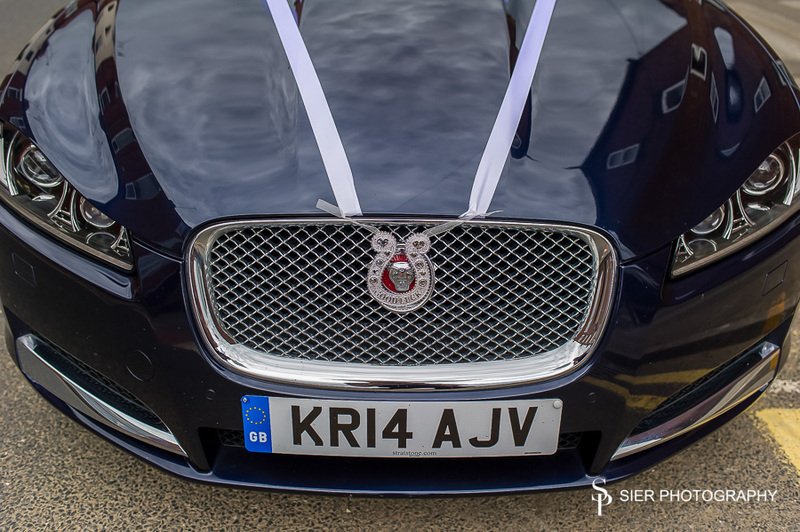 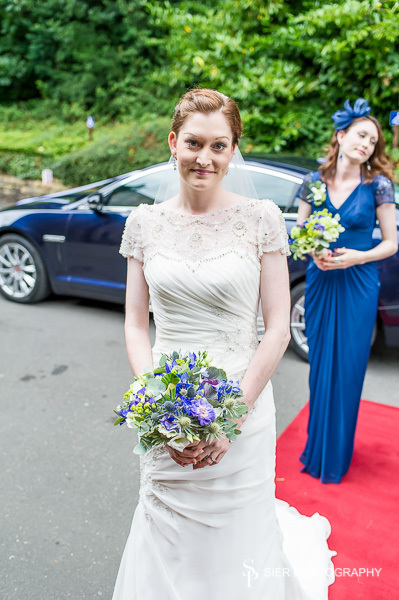 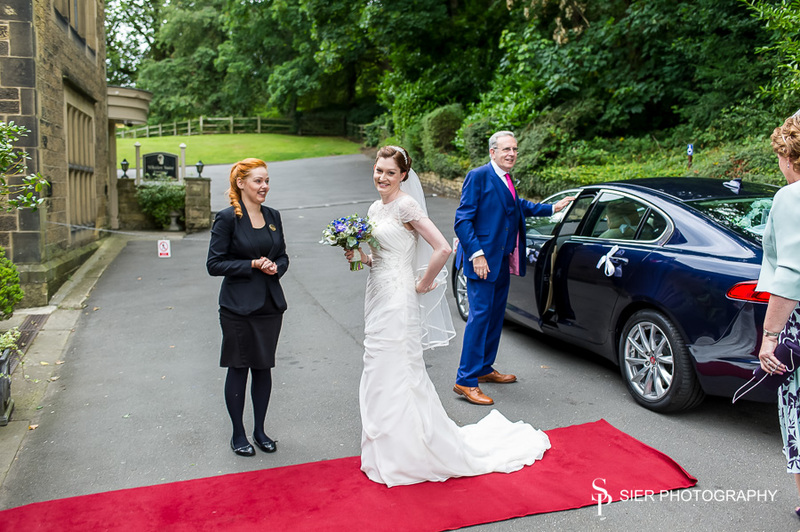 After taking a few snaps, Deborah departed to head to the venue and the bride’s Father and Stepmum arrived, their new car decked out with ribbons, horseshoes and flowers. 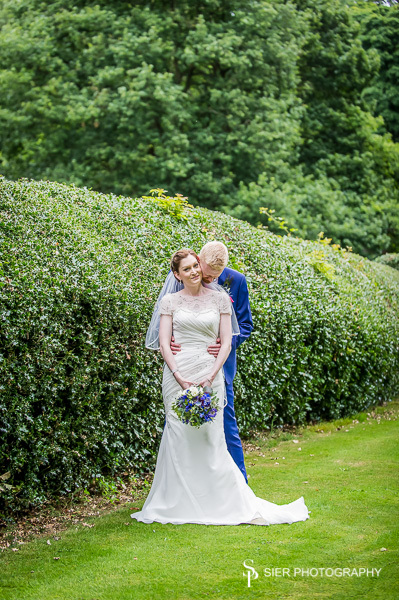 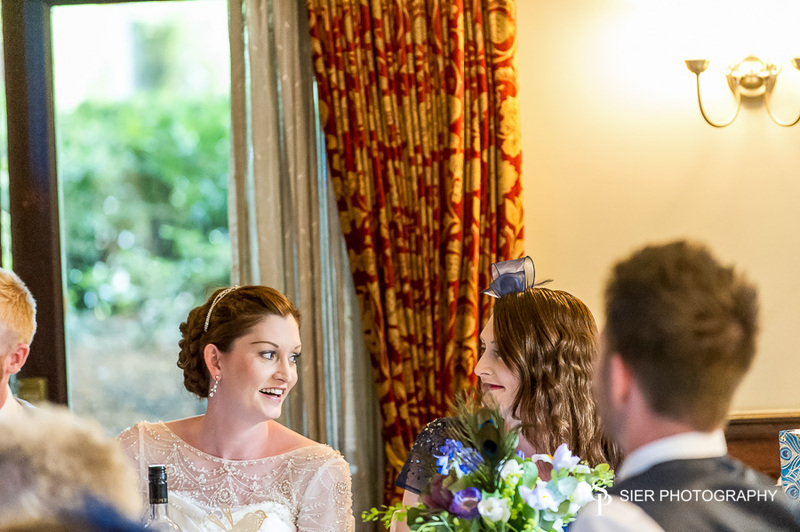 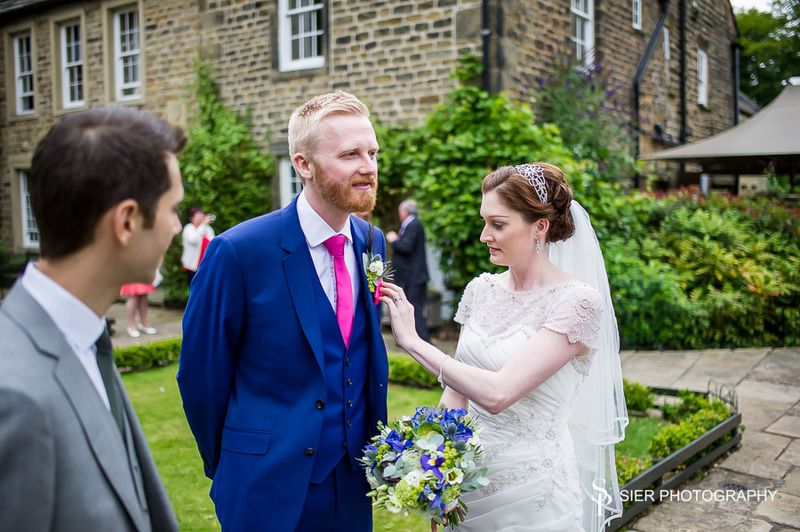 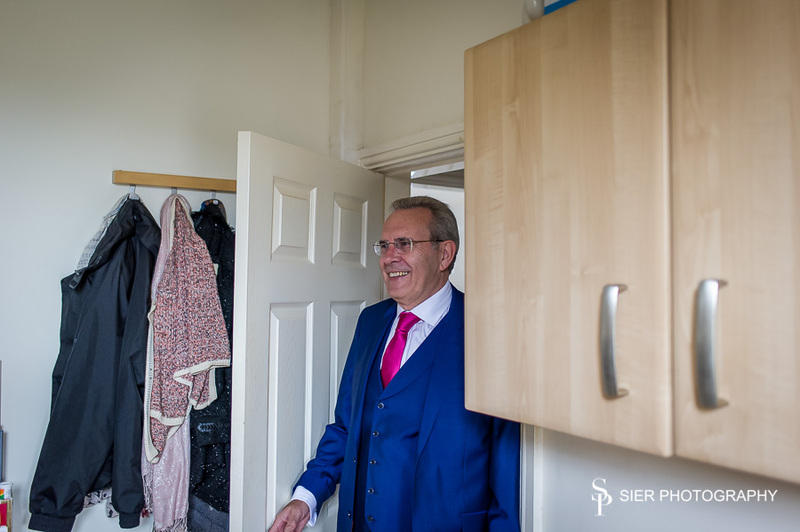 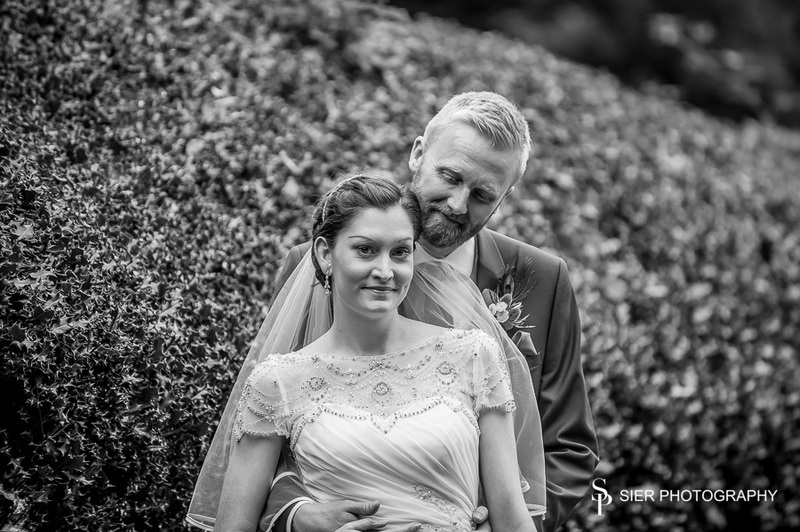 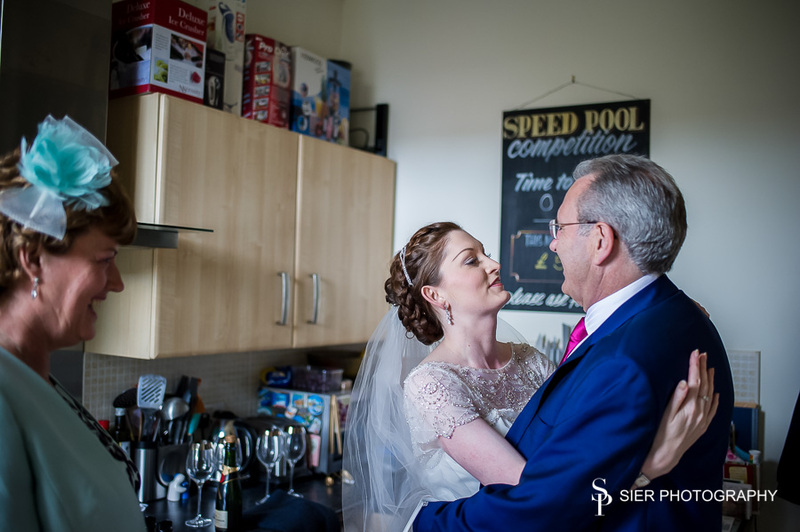 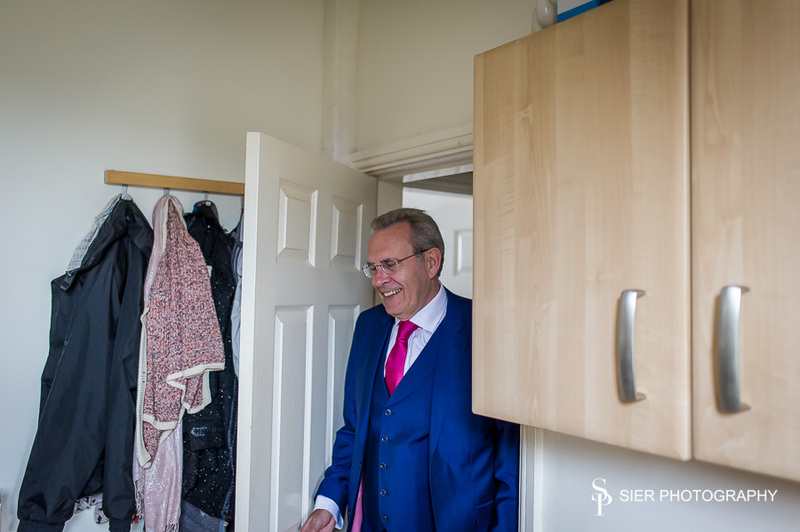 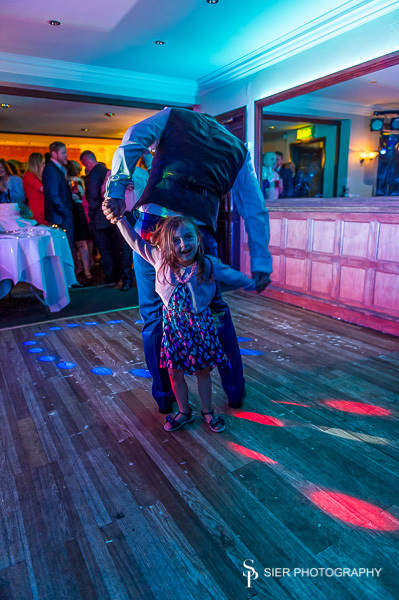 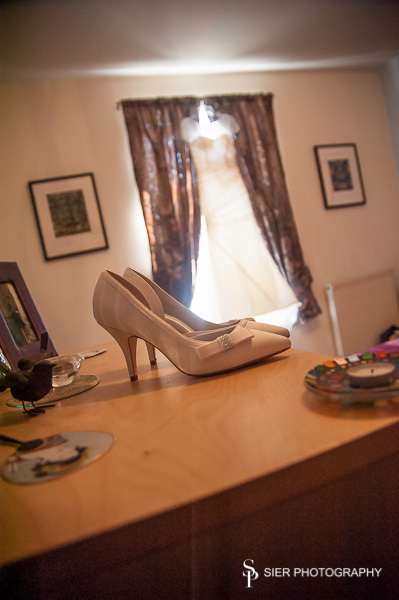 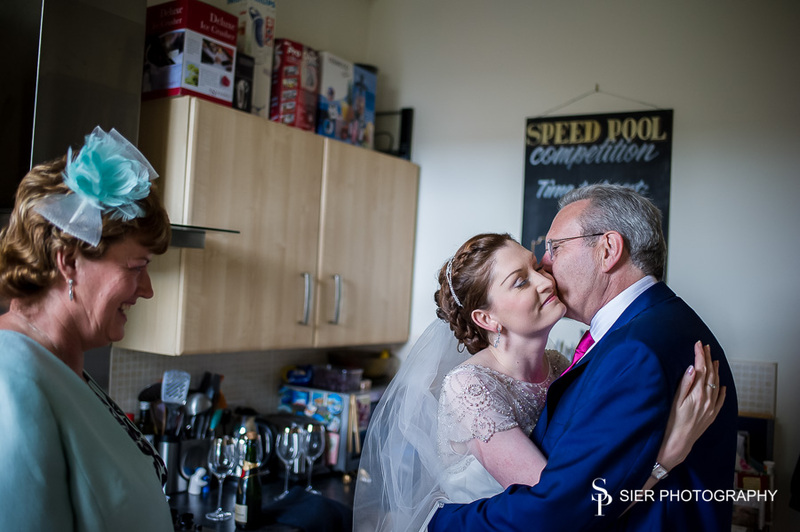 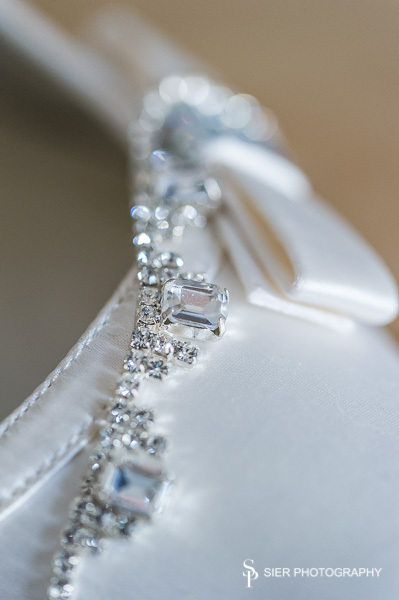 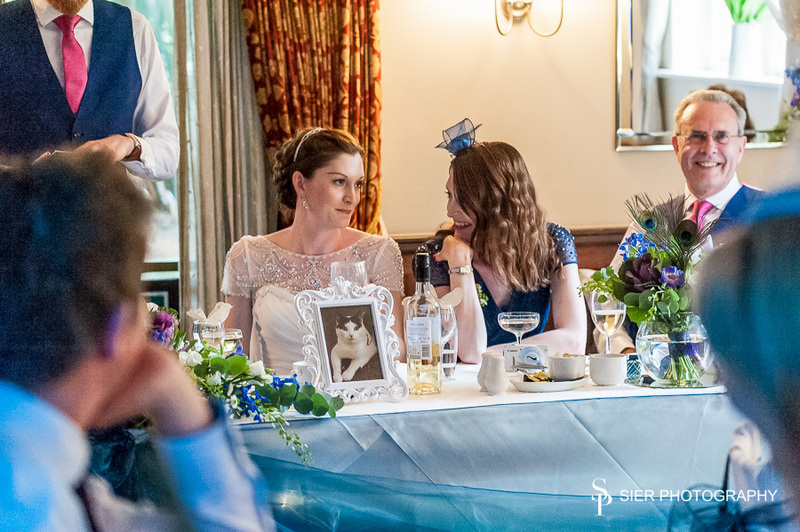 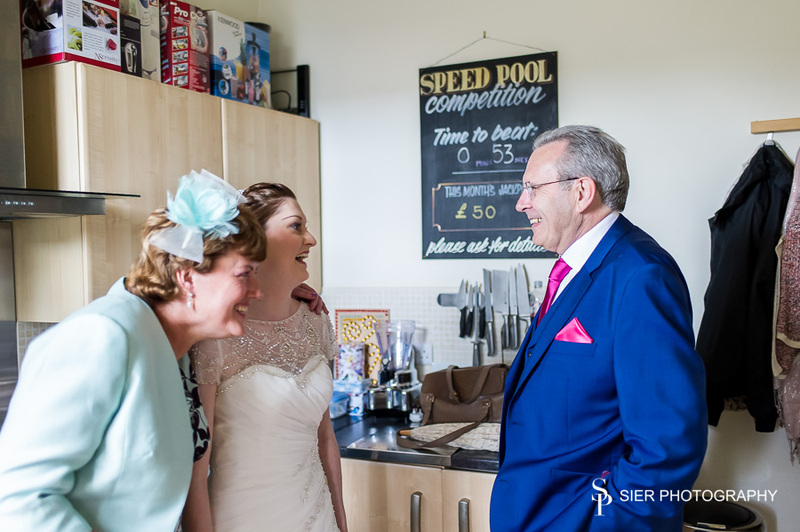 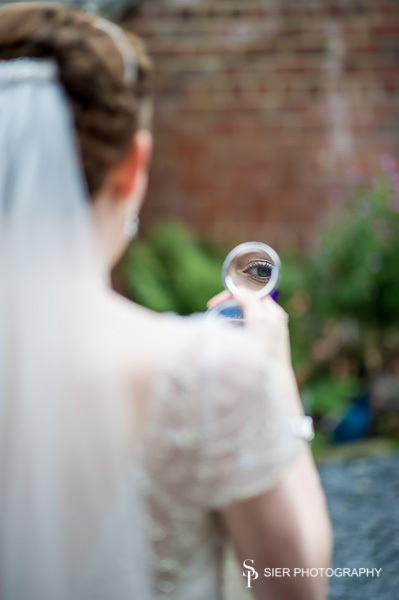 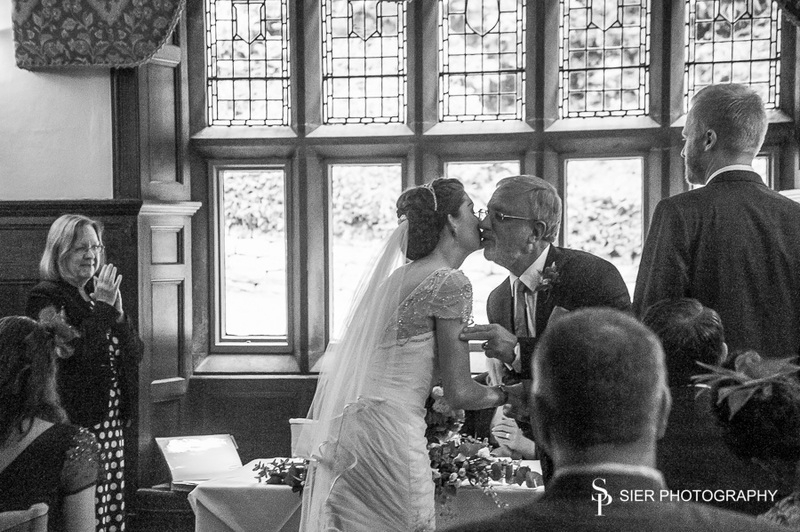 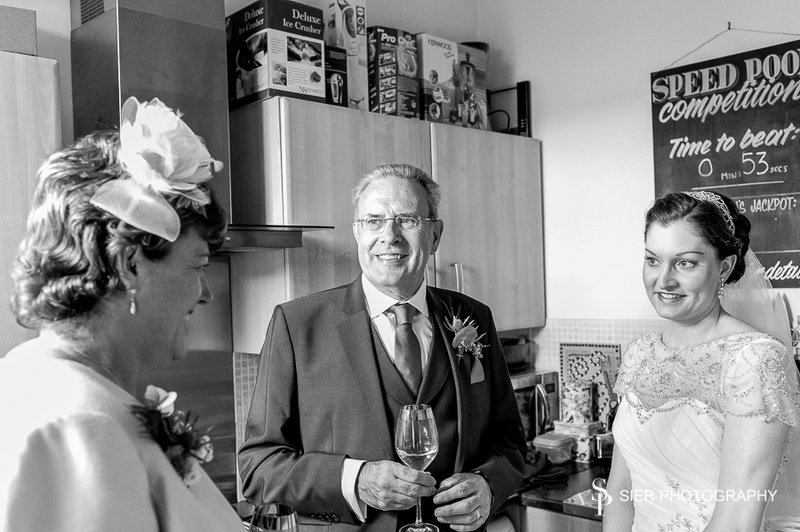 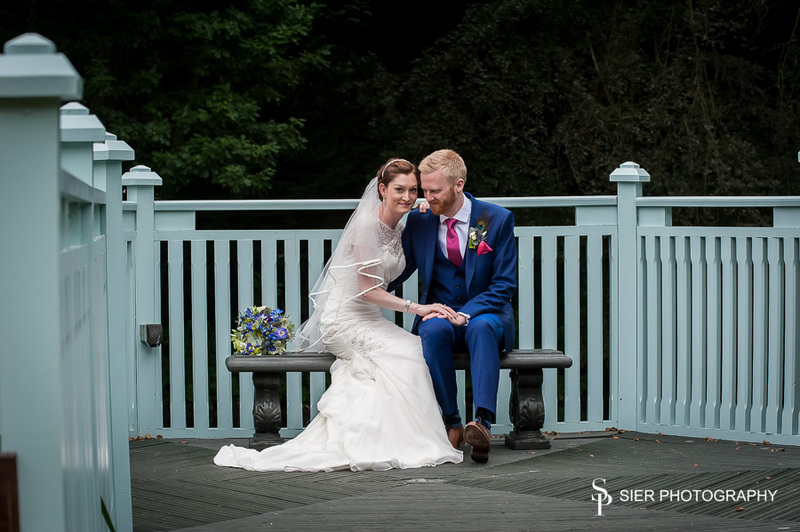 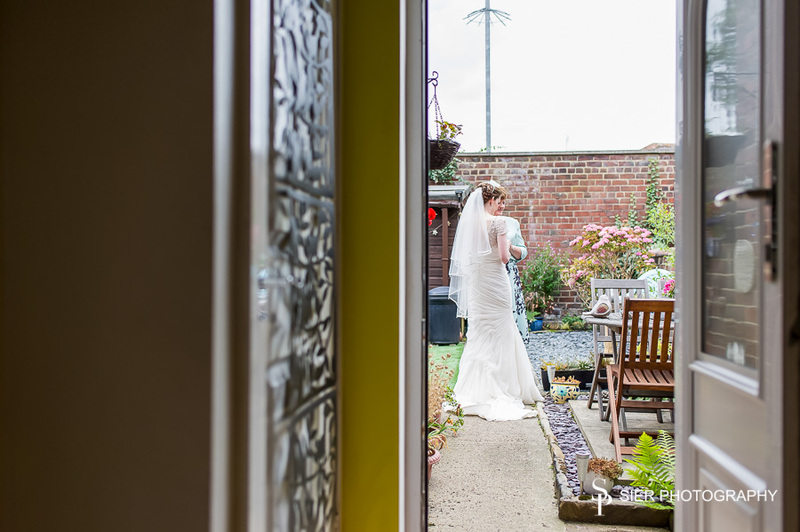 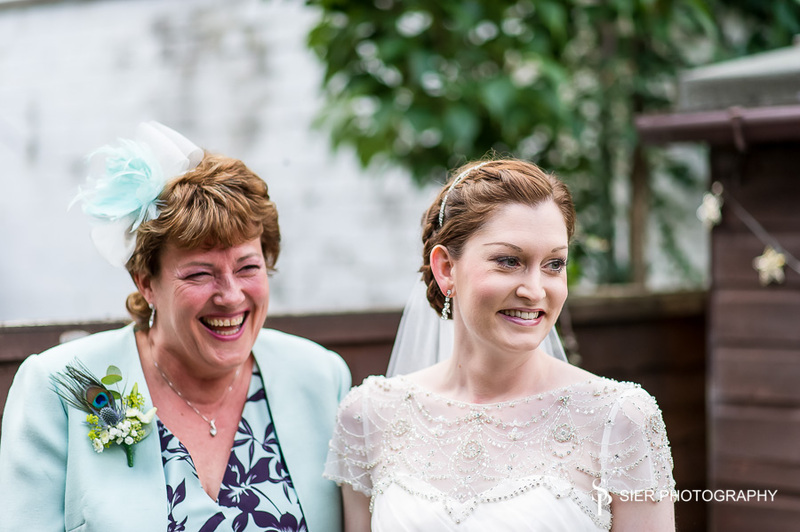 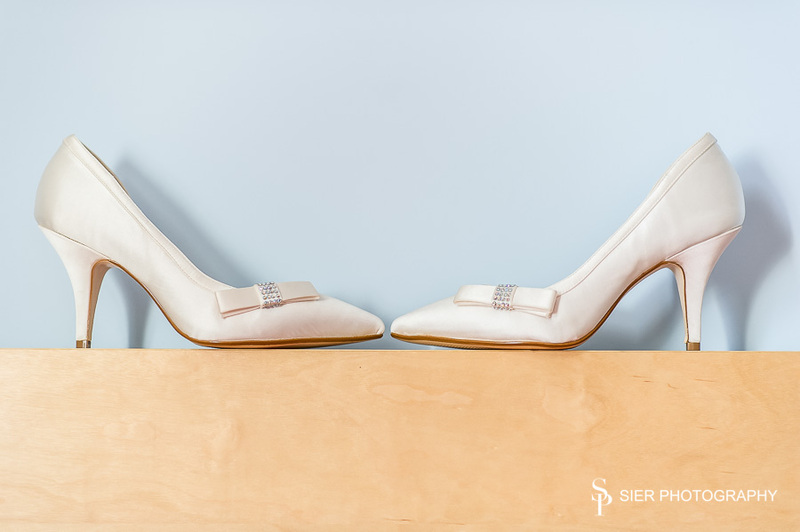 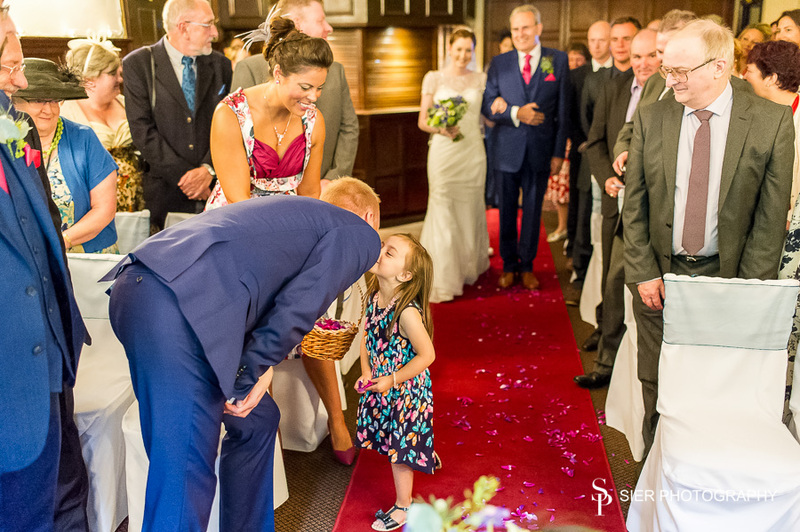 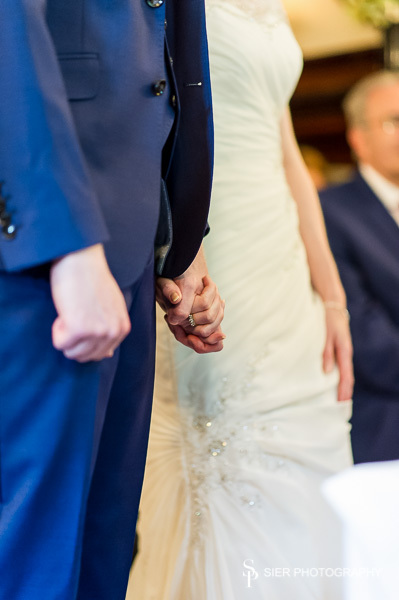 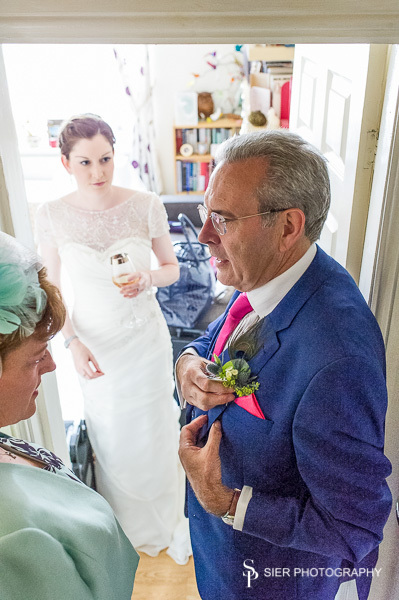 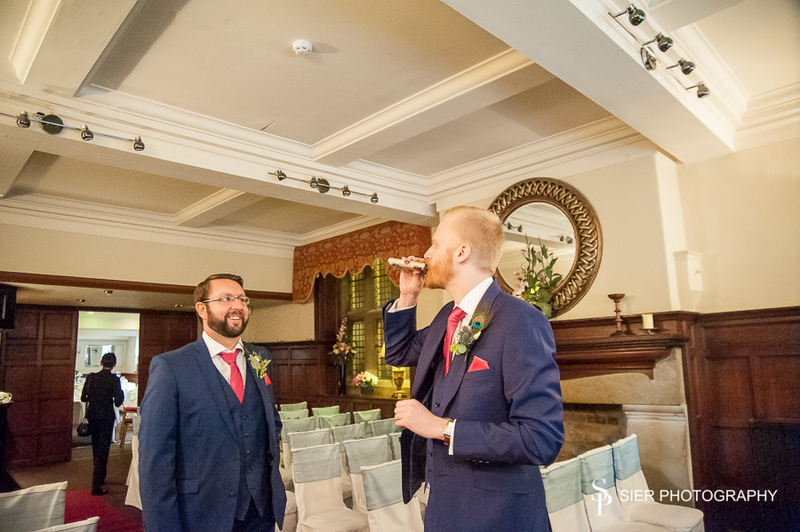 Matthew was on hand to capture the emotional images as father saw bride in her dress for the first time and as tears turned to laughter a glass of champagne helped start the day. 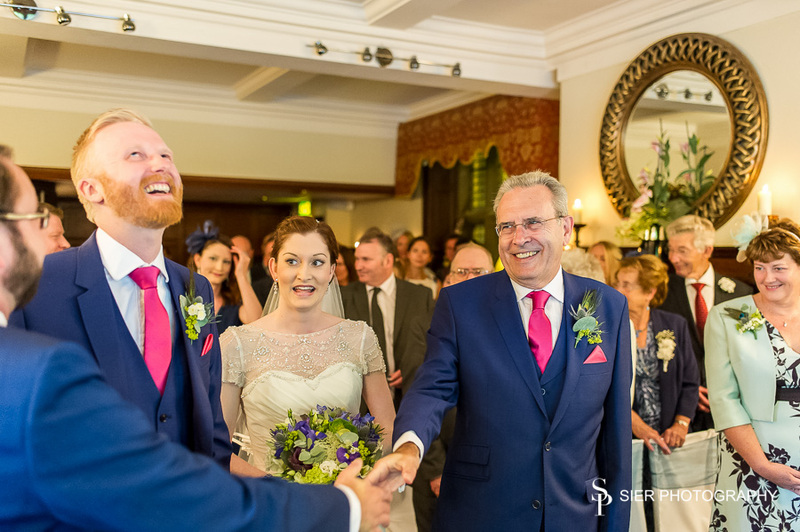 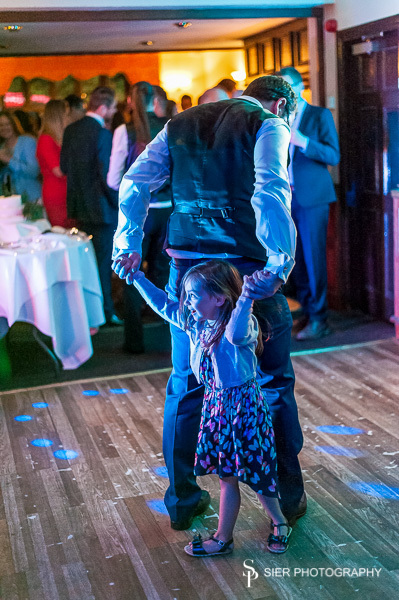 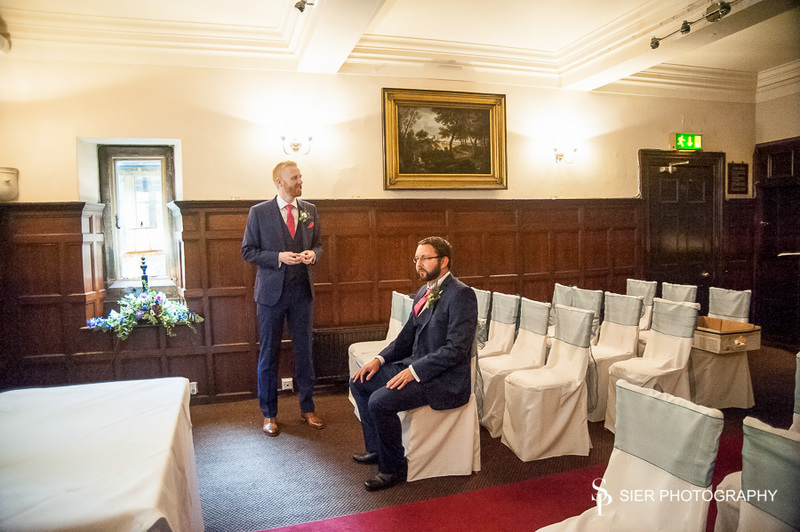 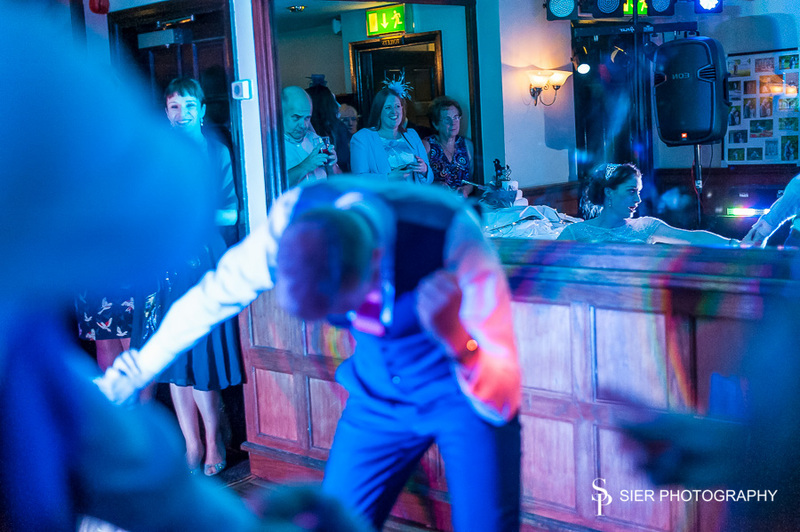 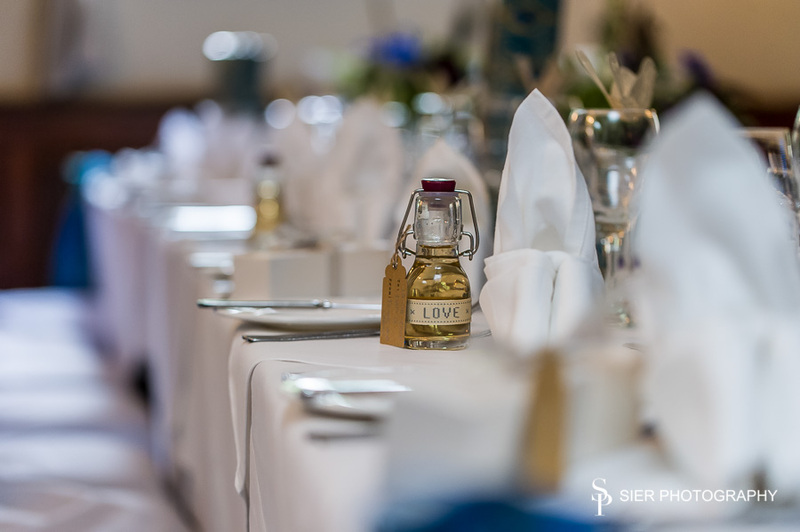 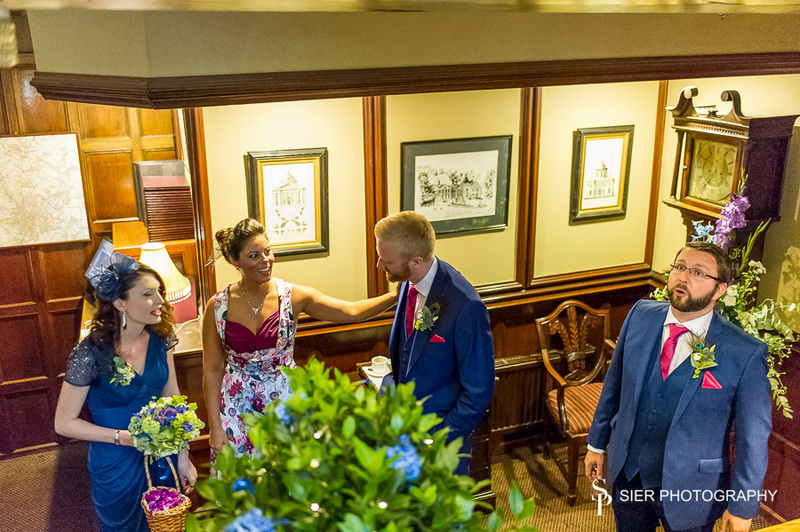 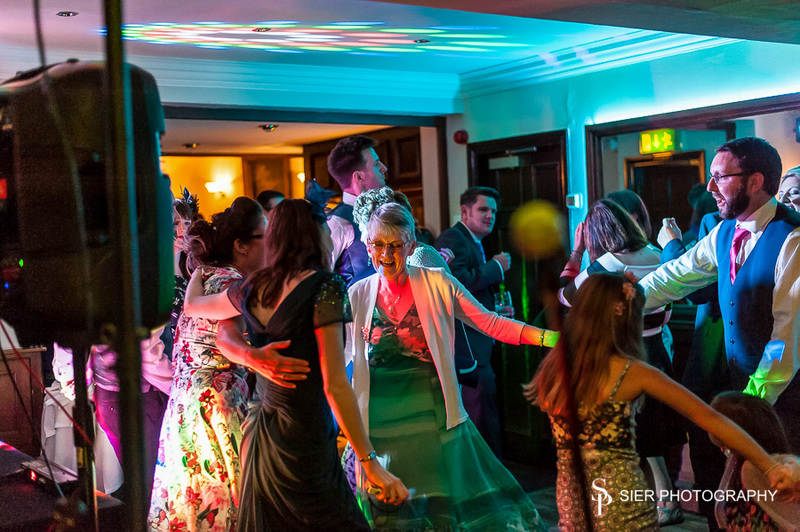 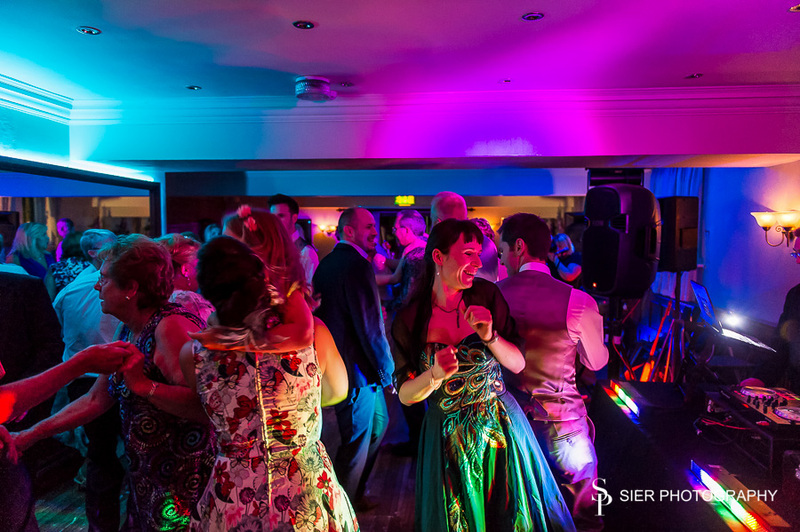 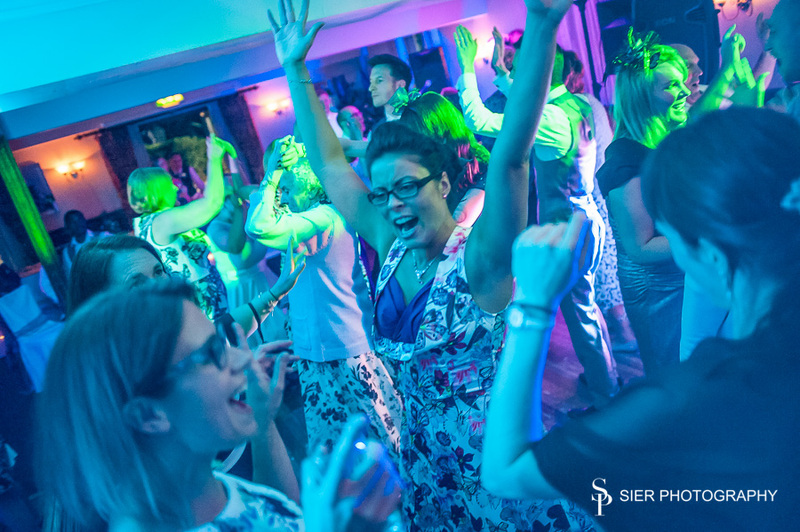 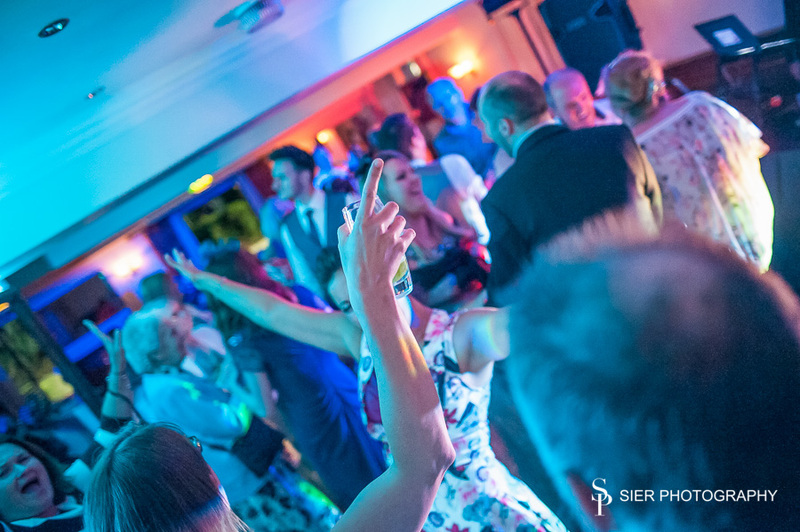 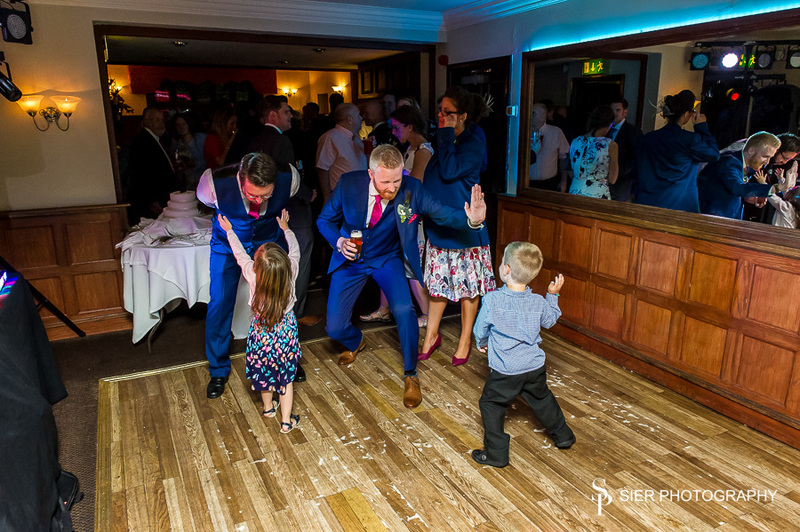 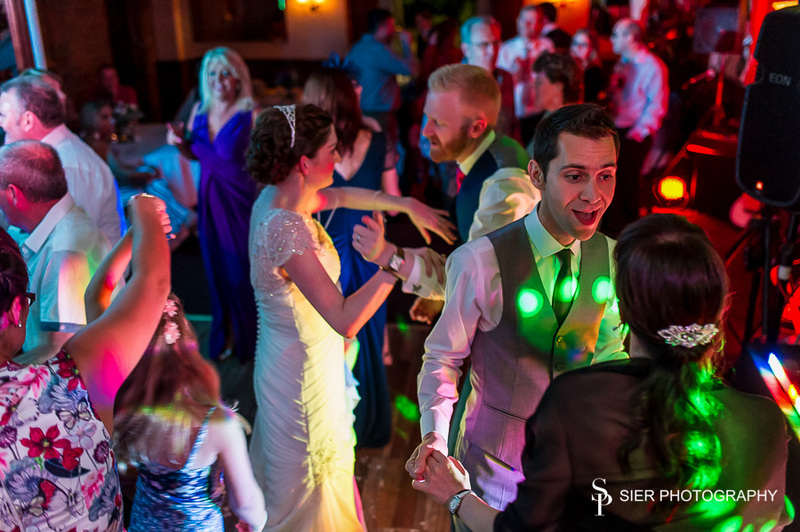 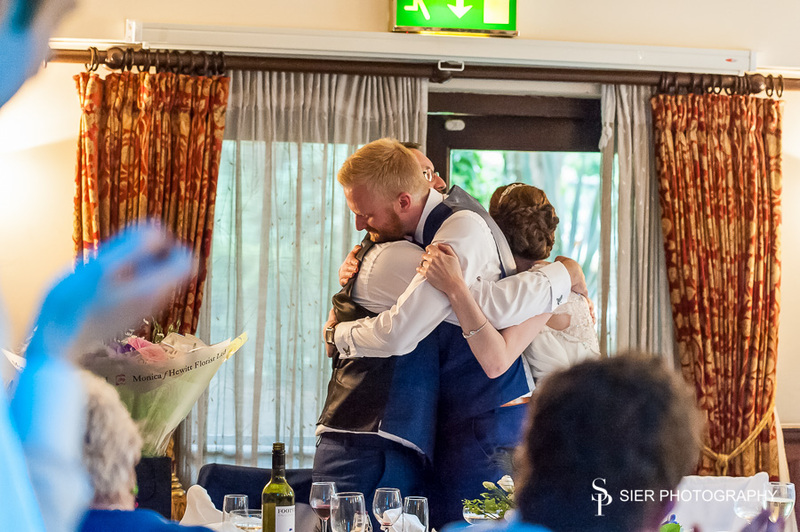 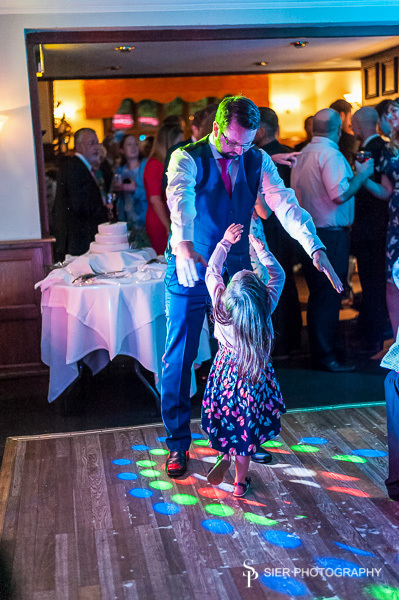 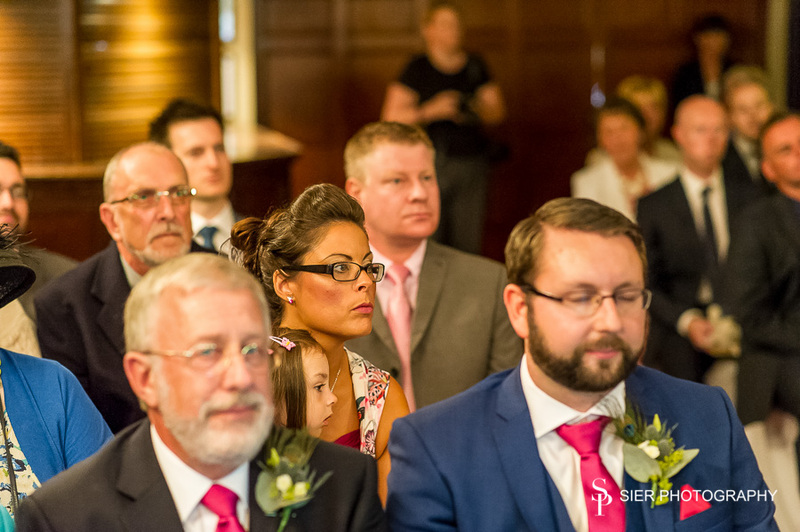 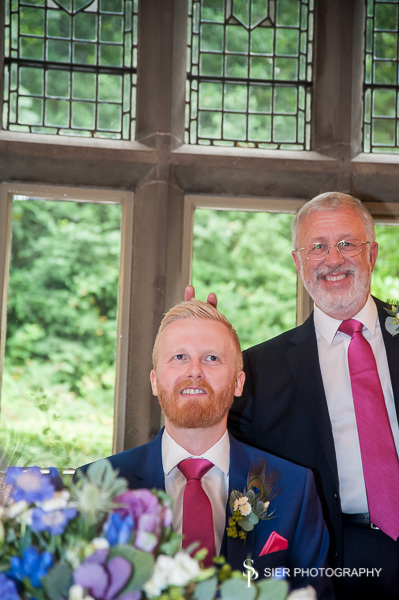 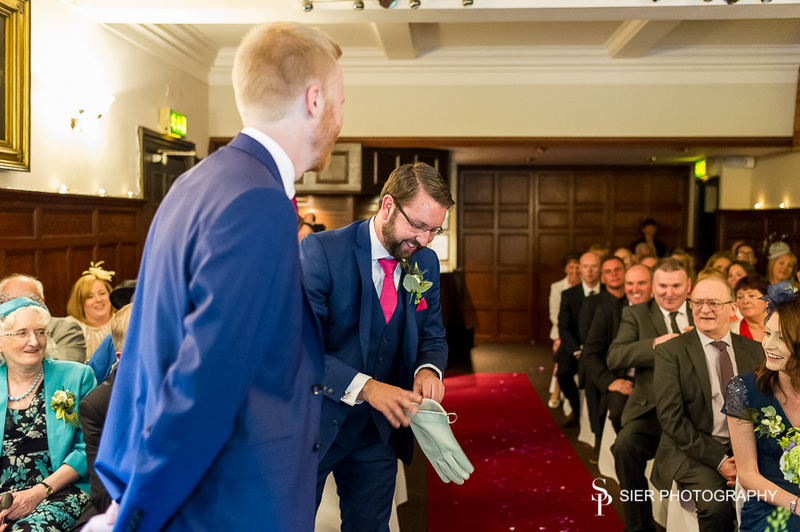 Nerves were jangling with the Groom and Best man as the guests started to arrive and a well kept surprise was about to be revealed. 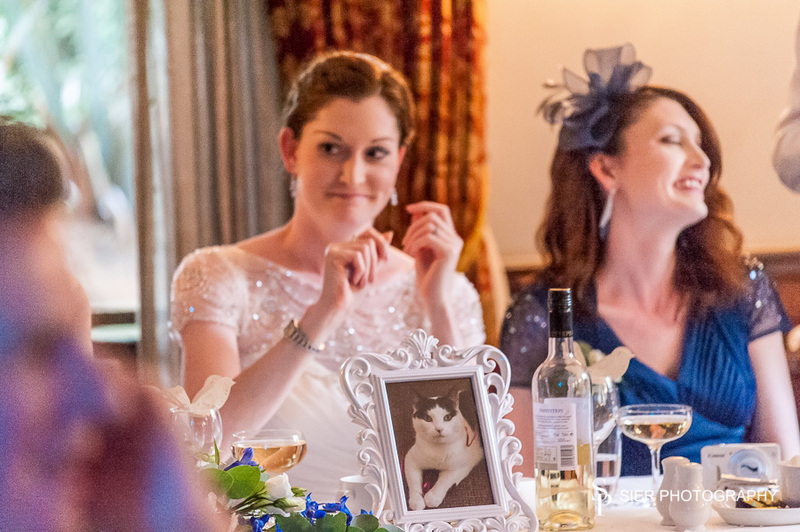 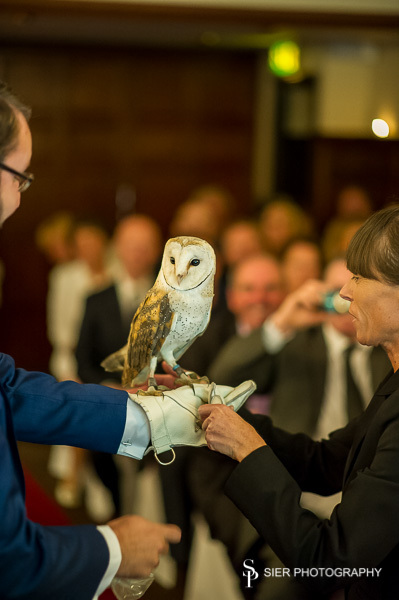 We had been told,however the guests had not – that there was going to be a Barn Owl ring bearer. 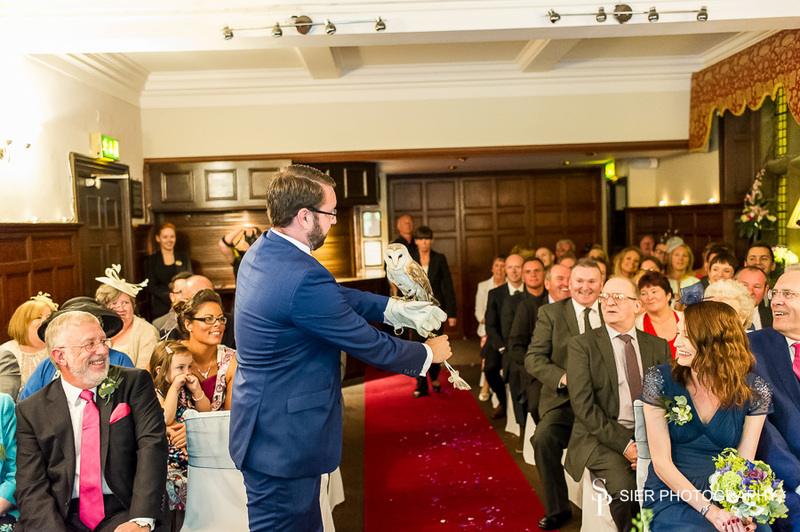 The company “Hawks R Us” had discussed the flight path with us and we got in to position to capture the action shots. 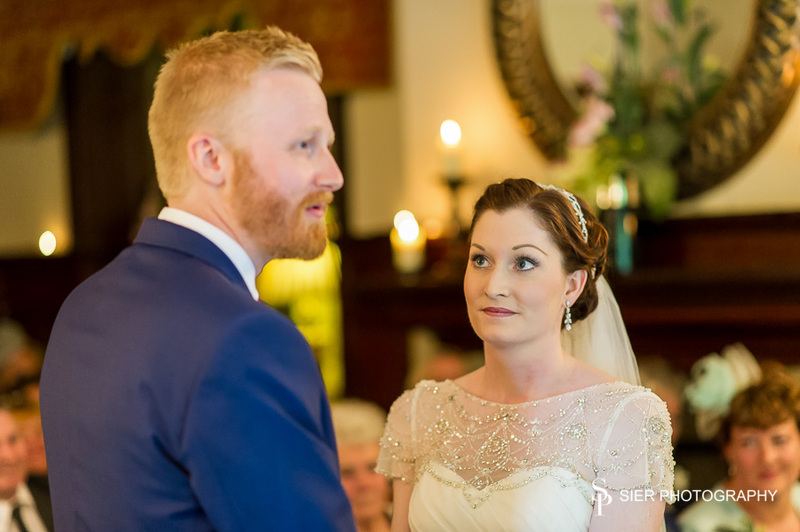 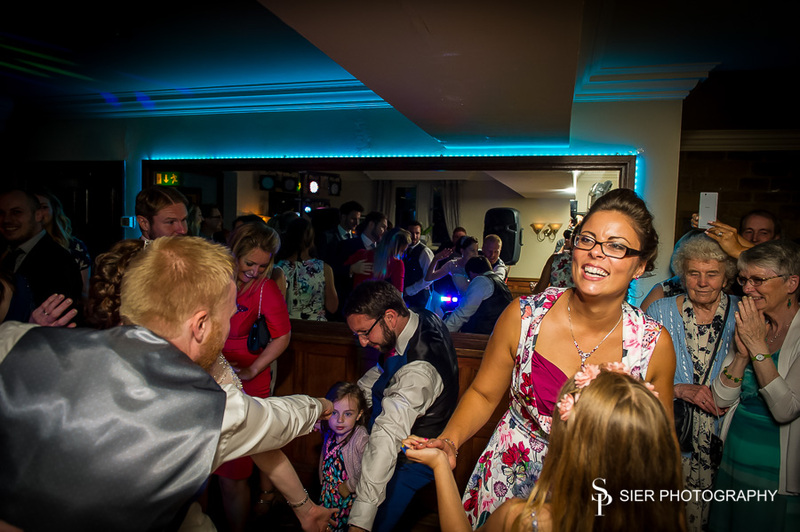 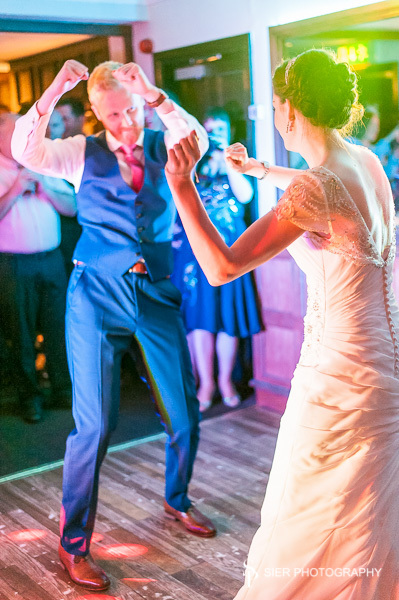 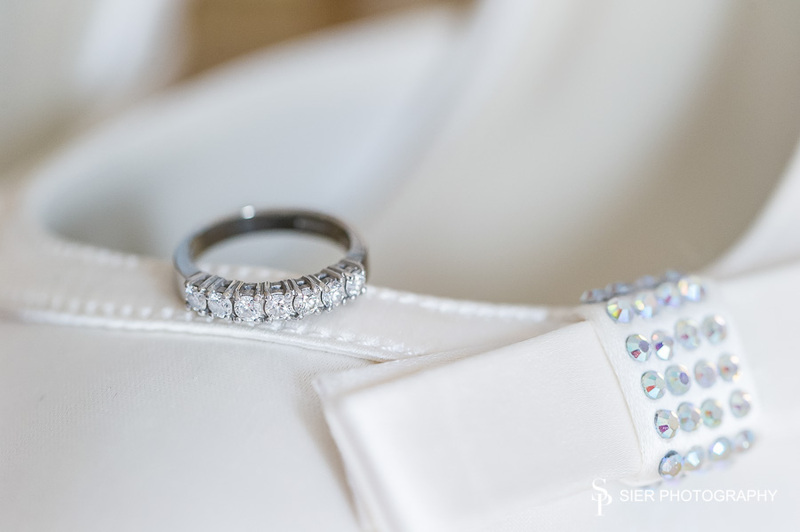 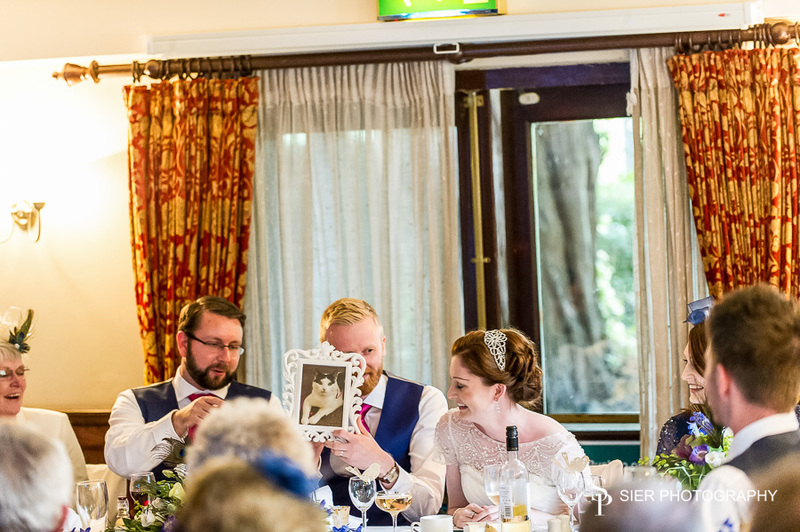 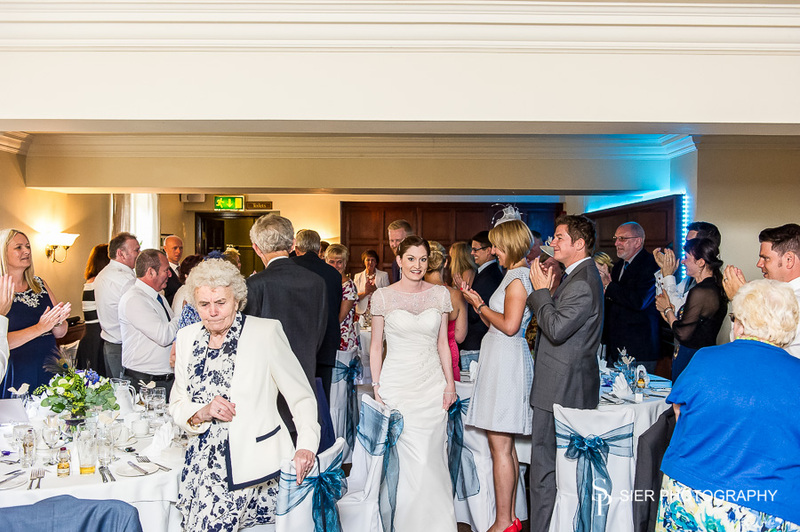 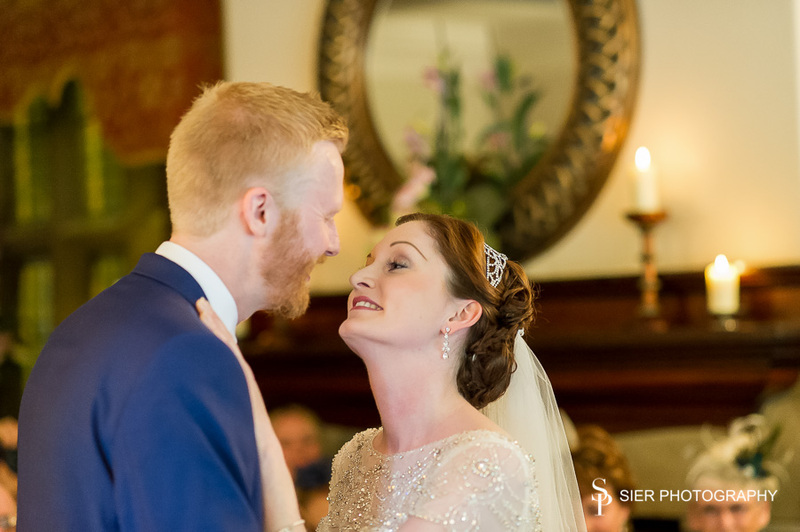 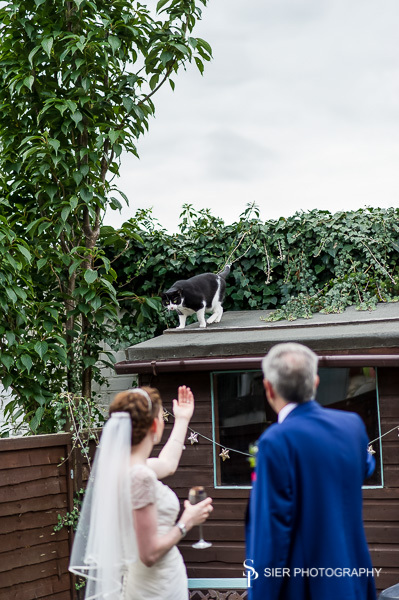 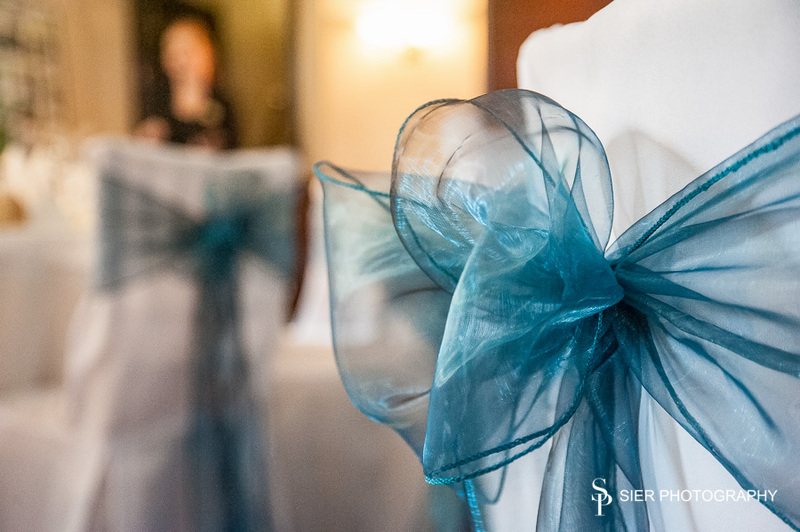 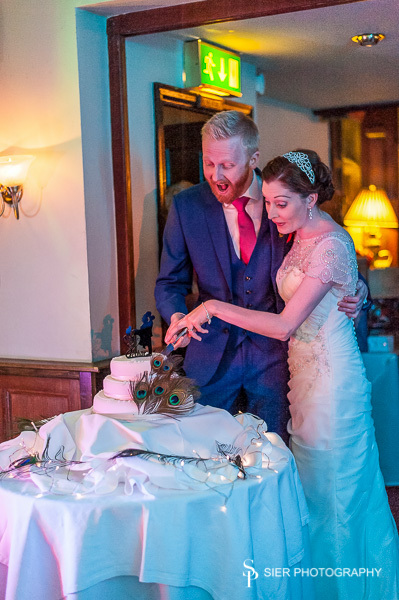 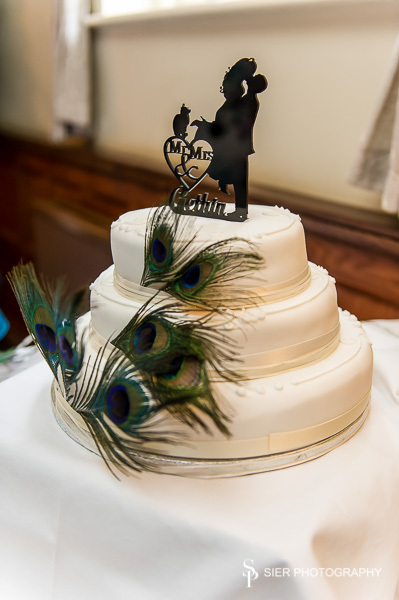 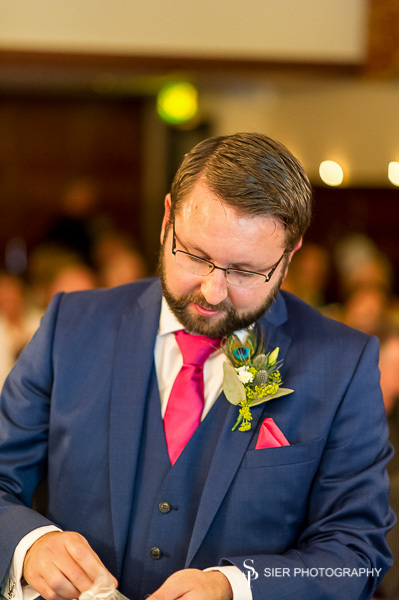 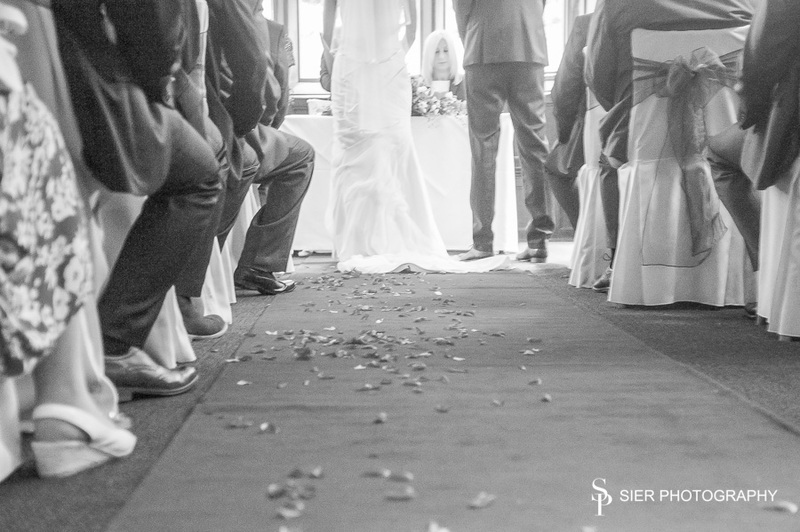 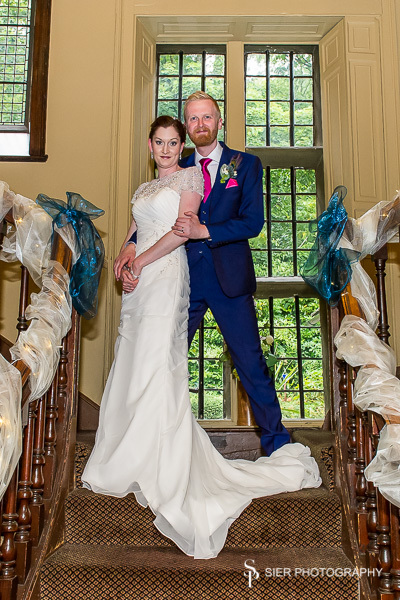 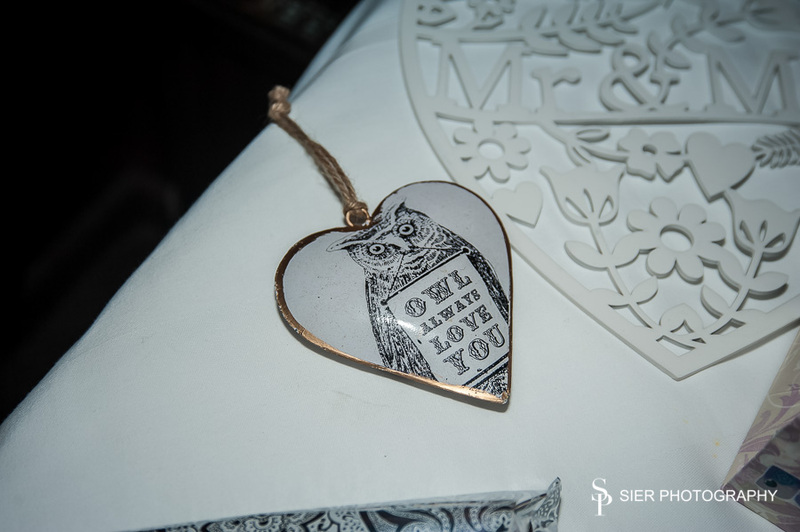 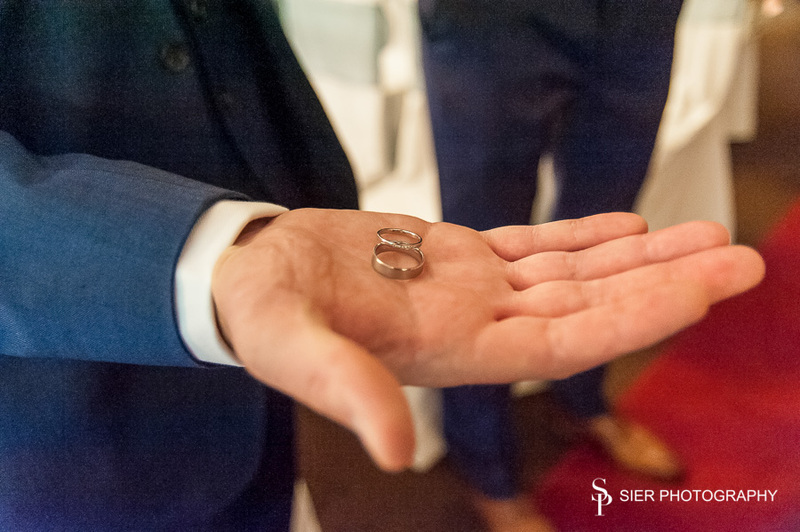 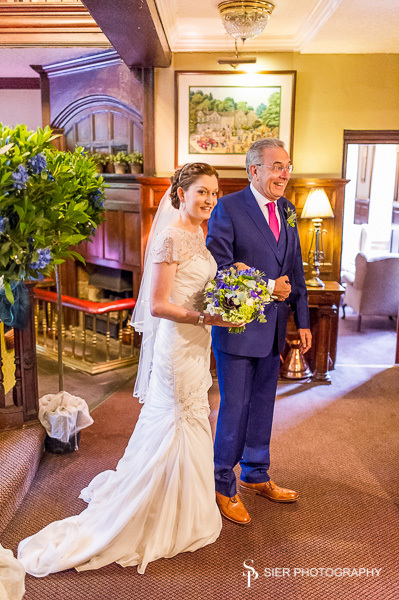 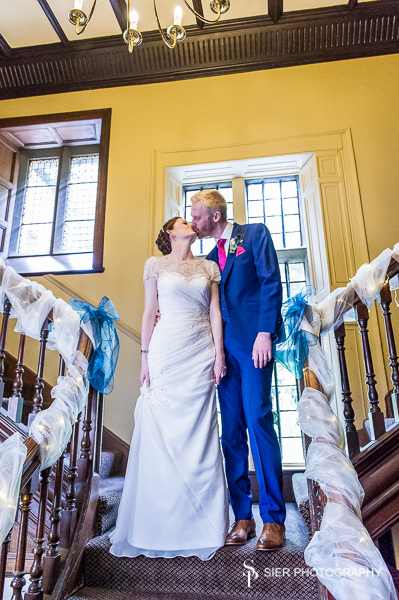 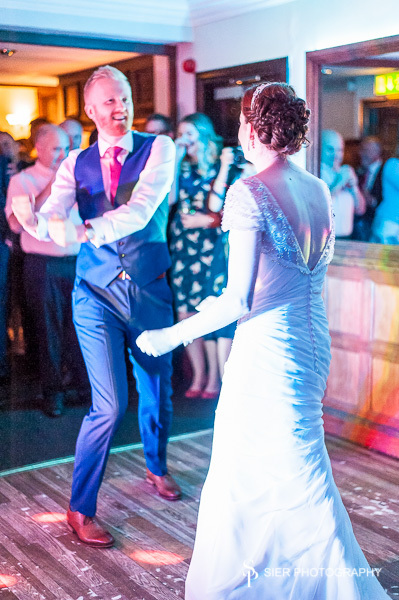 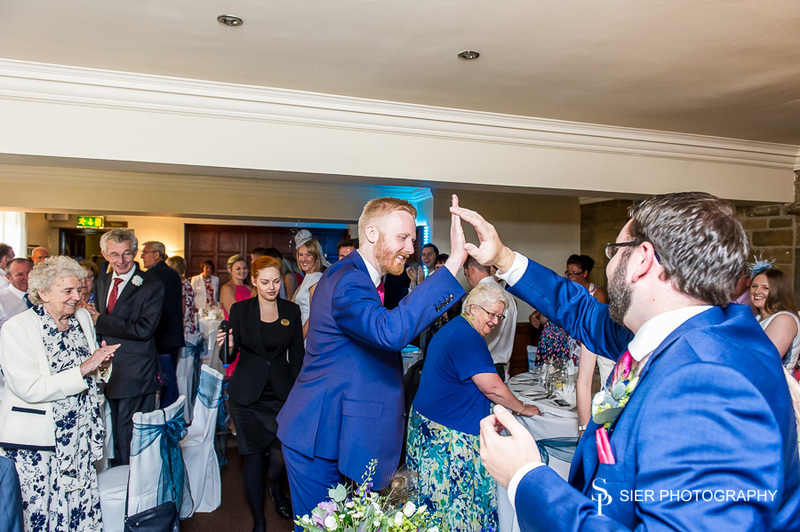 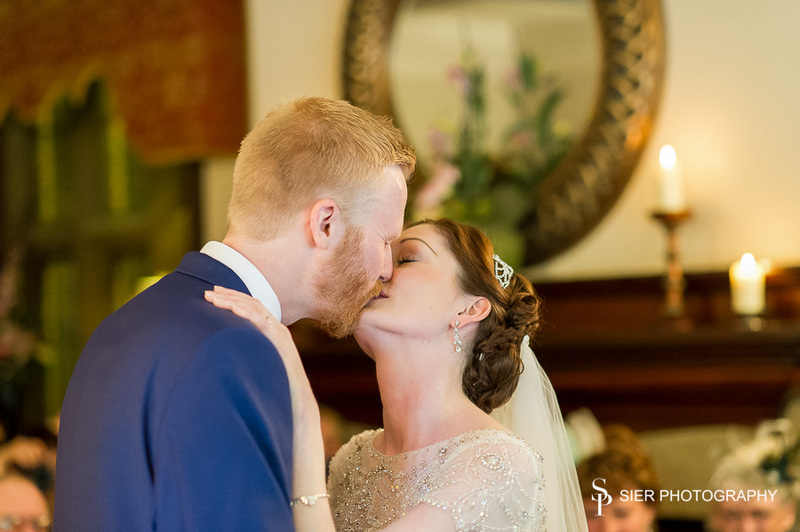 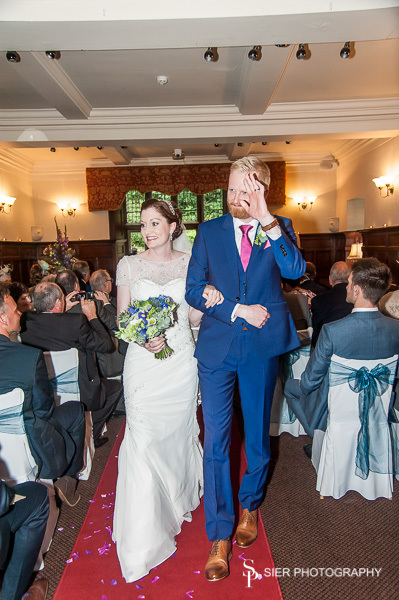 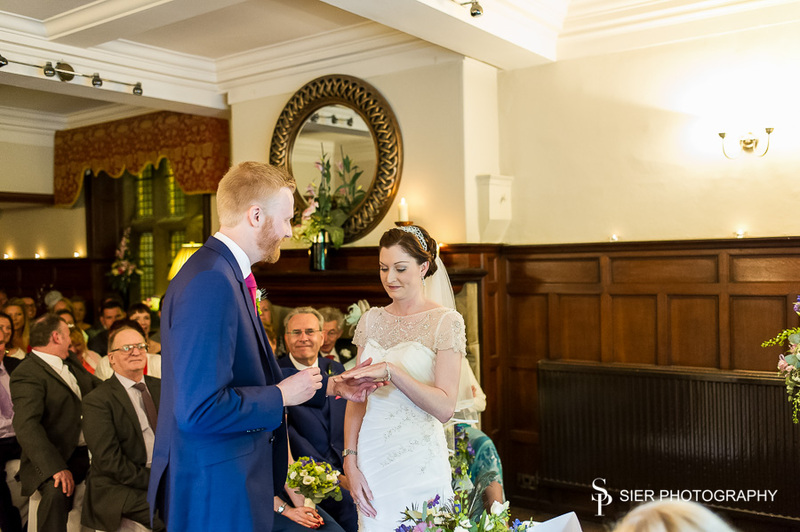 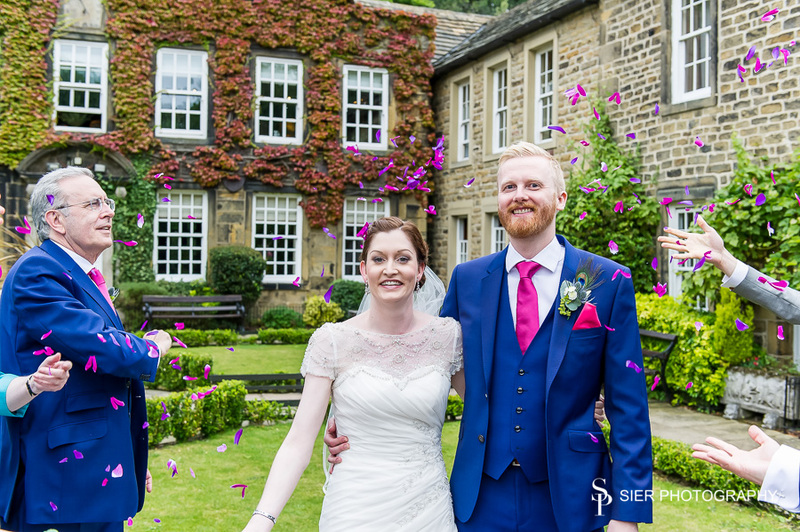 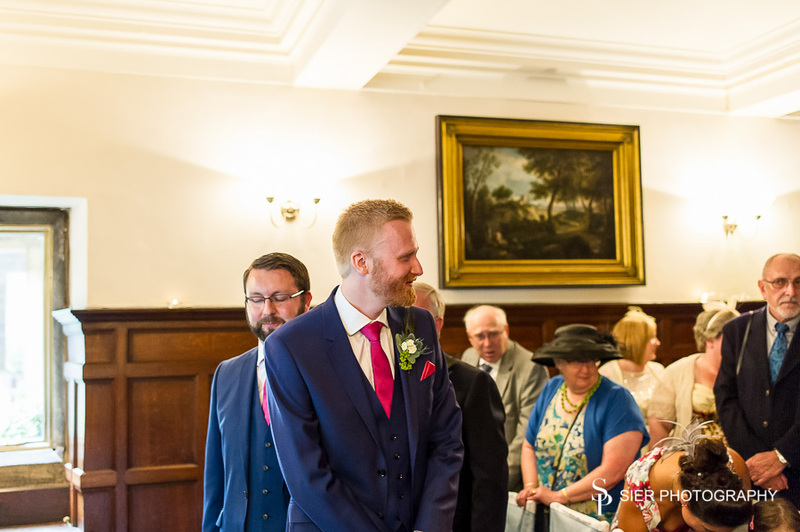 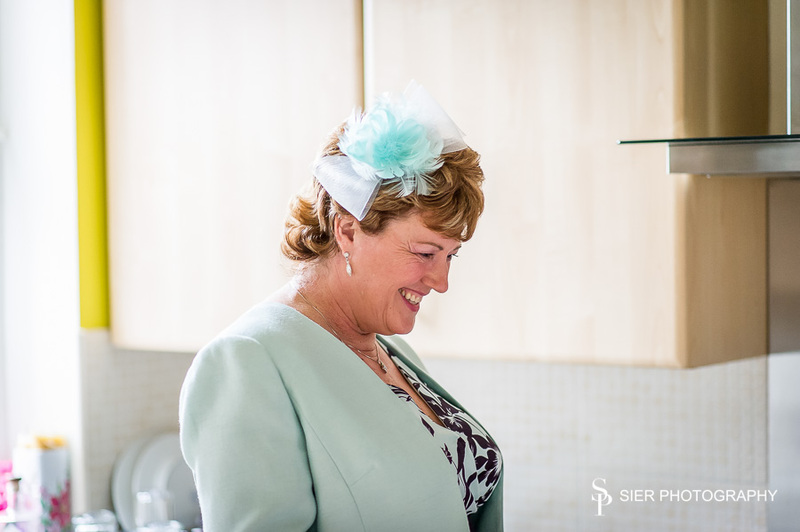 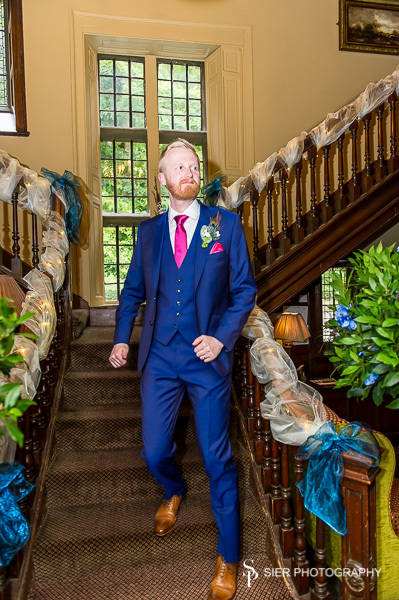 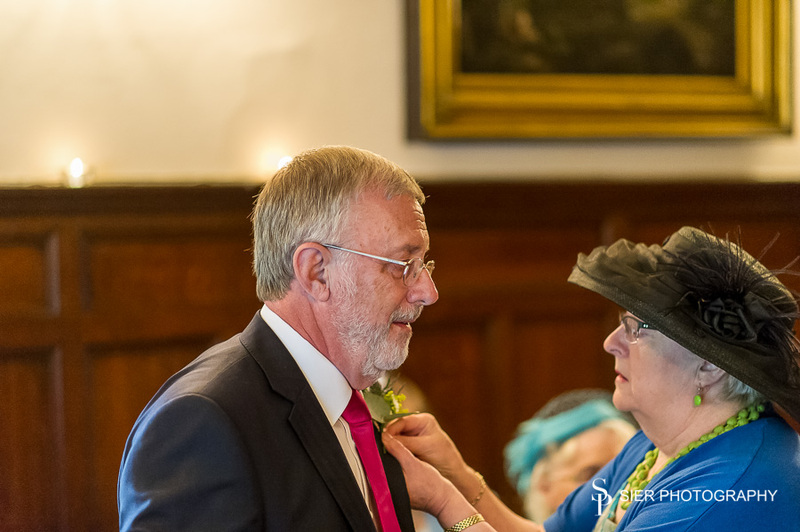 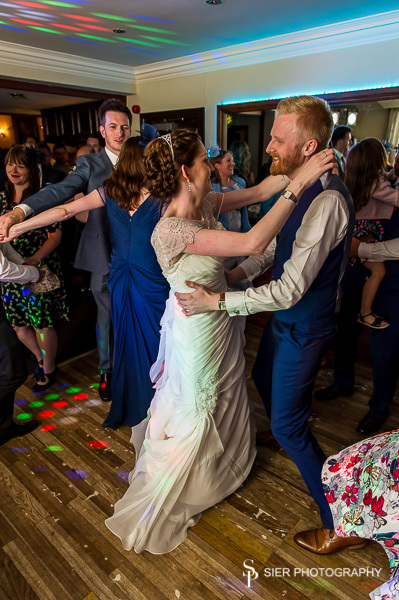 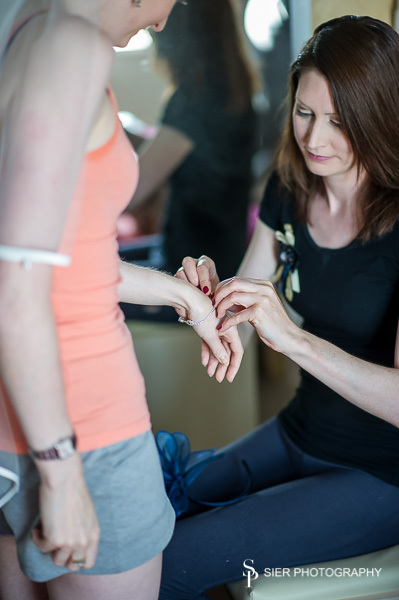 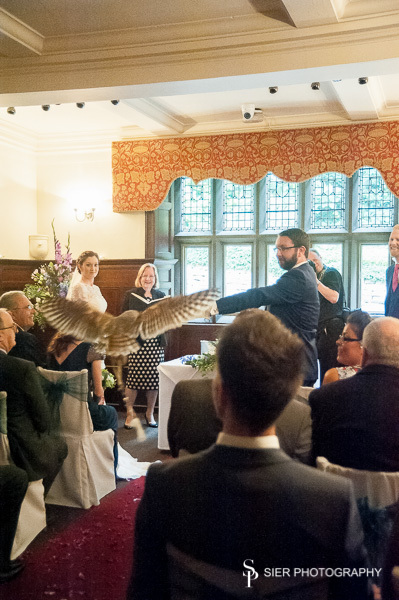 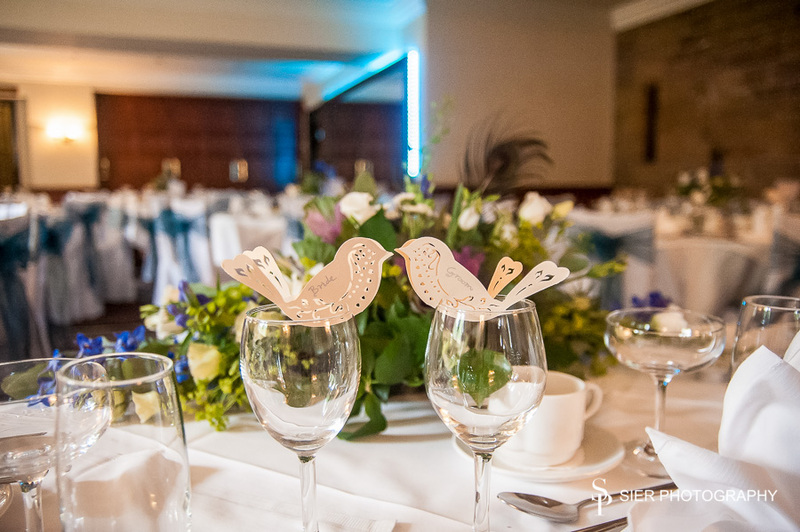 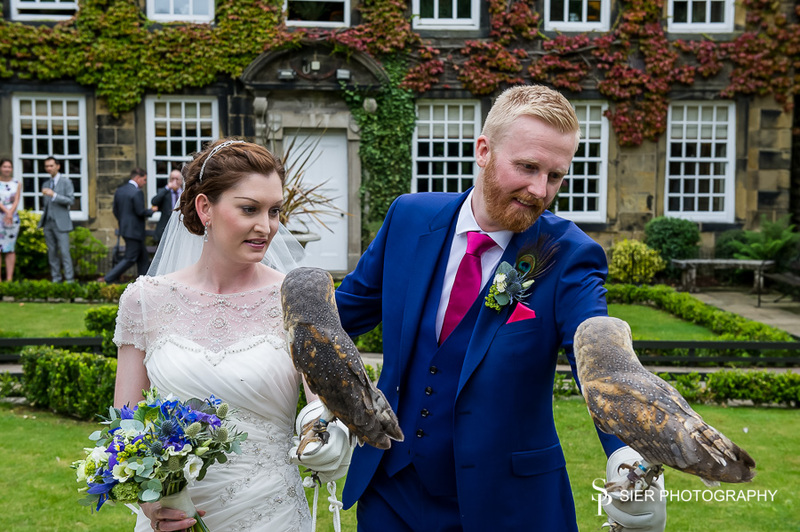 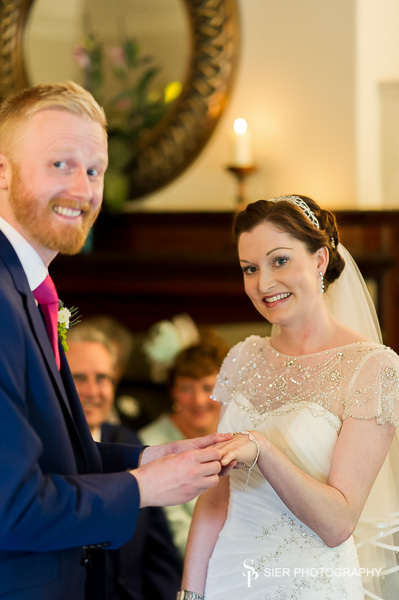 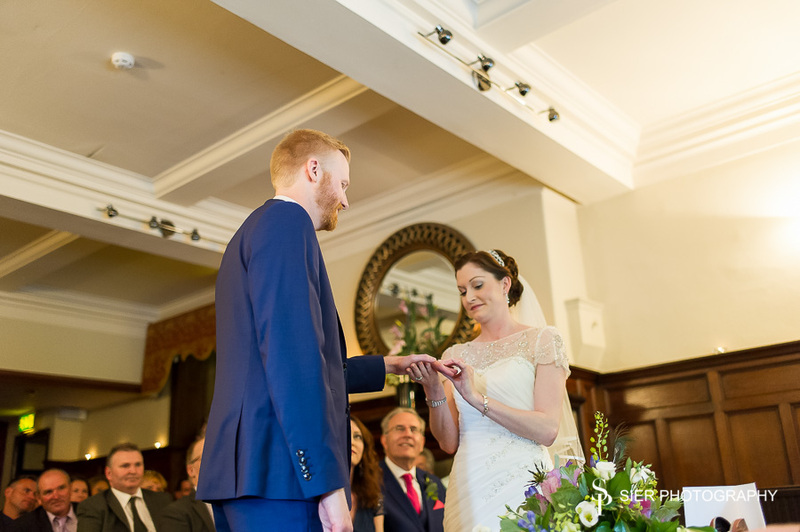 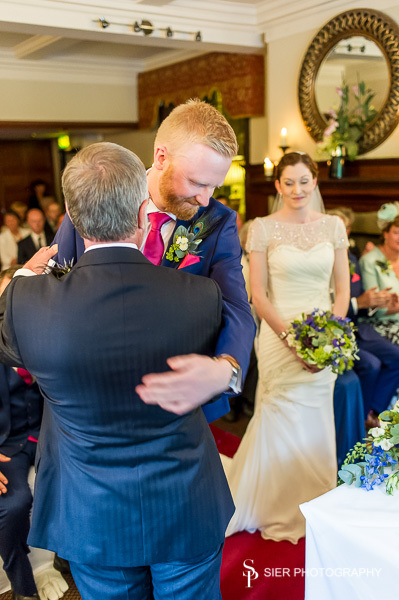 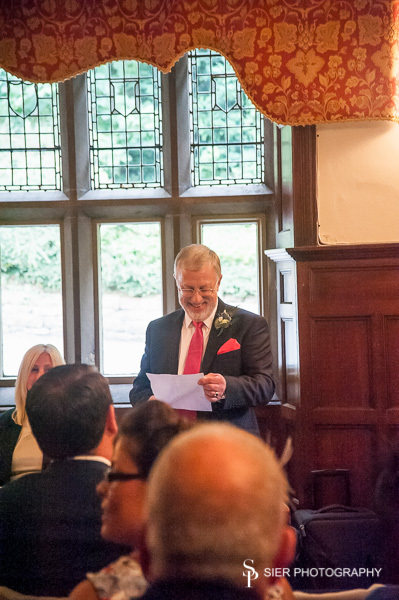 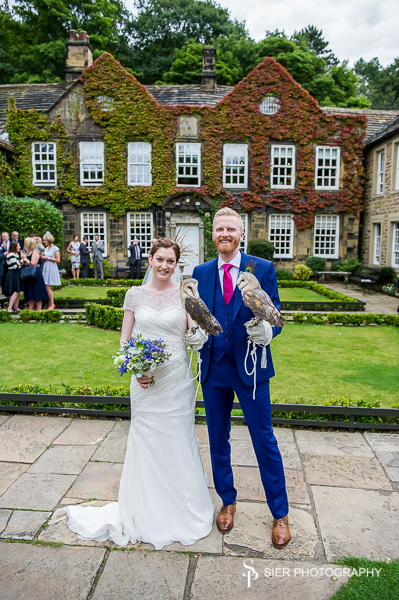 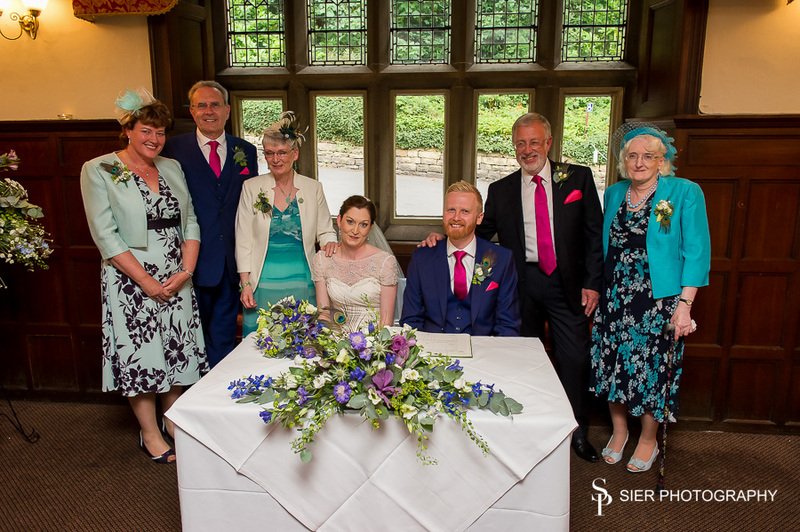 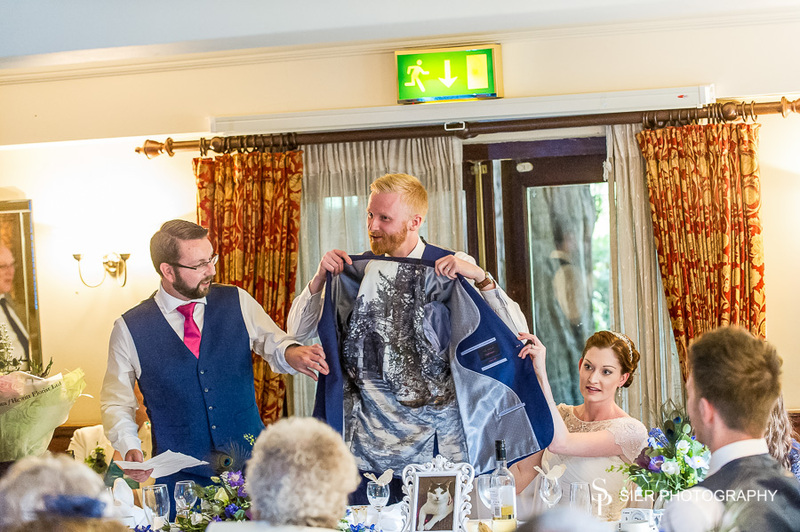 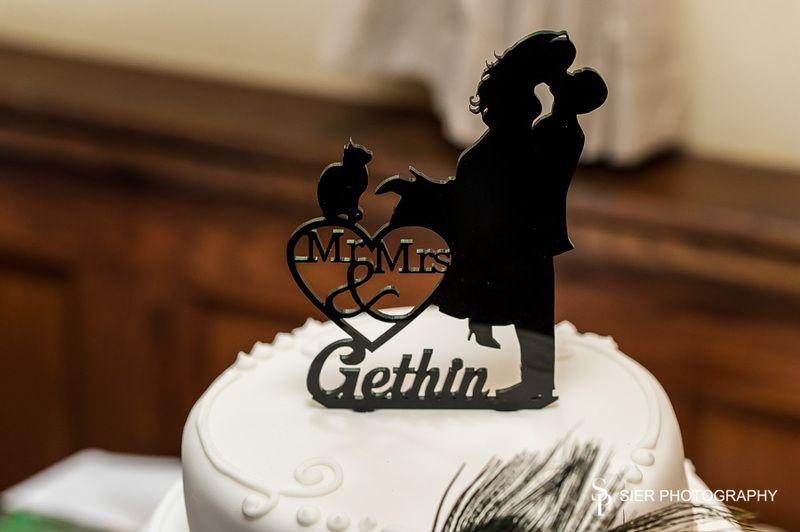 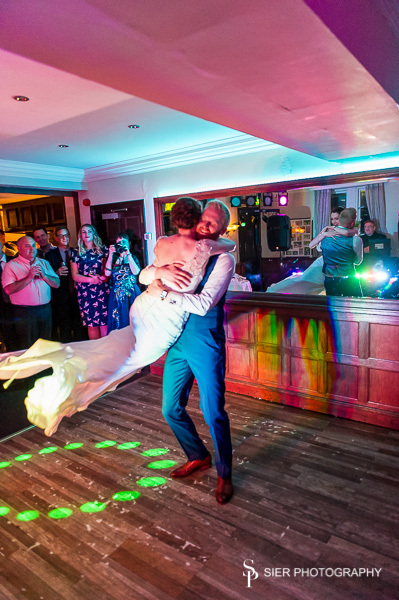 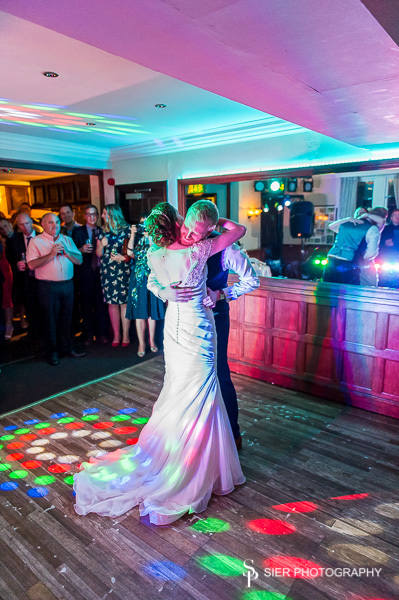 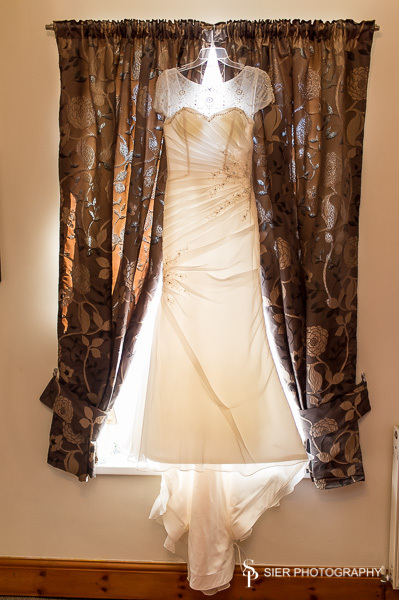 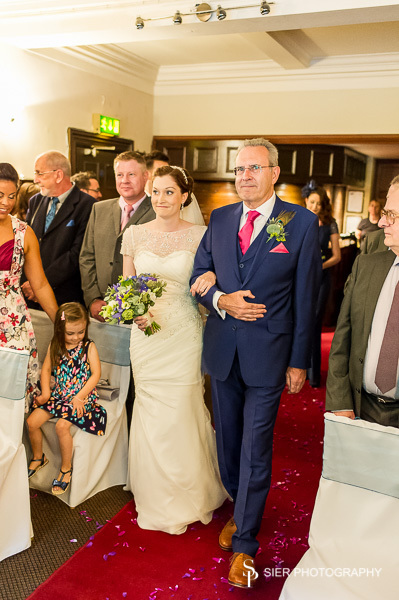 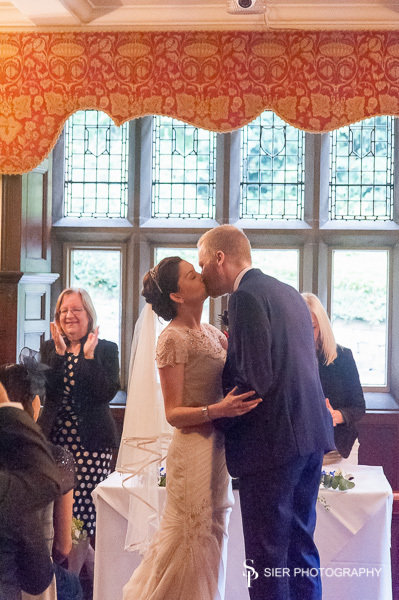 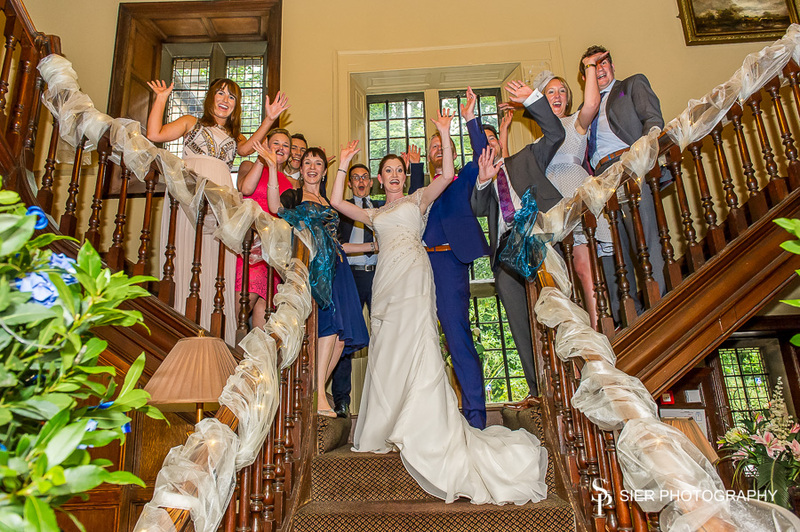 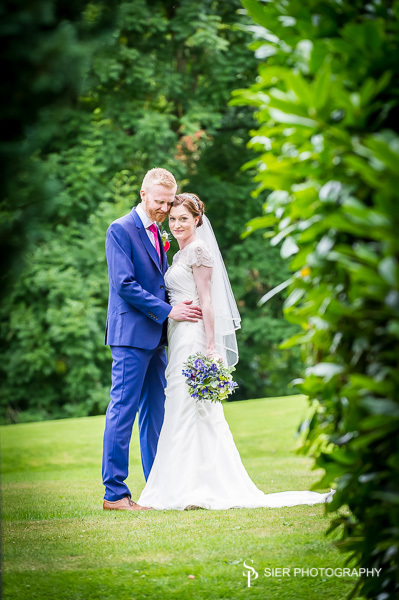 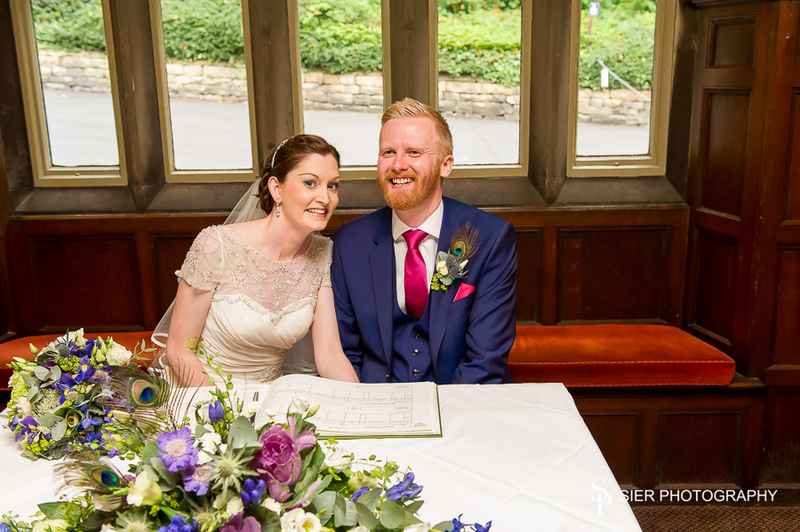 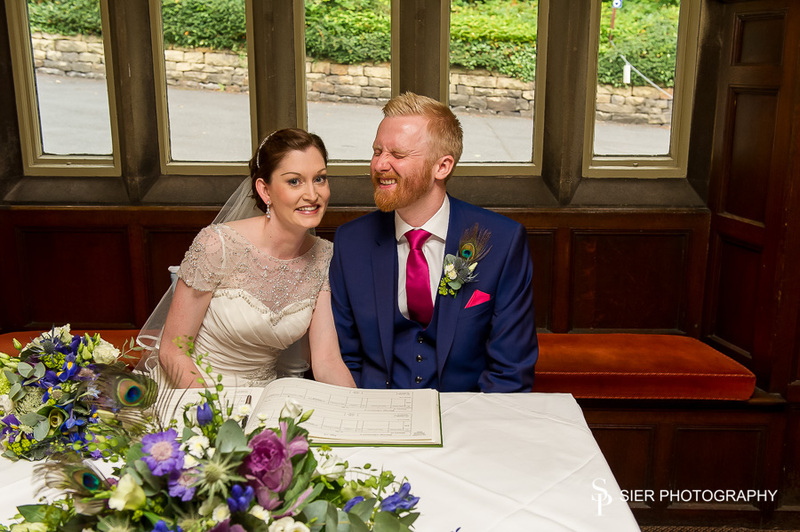 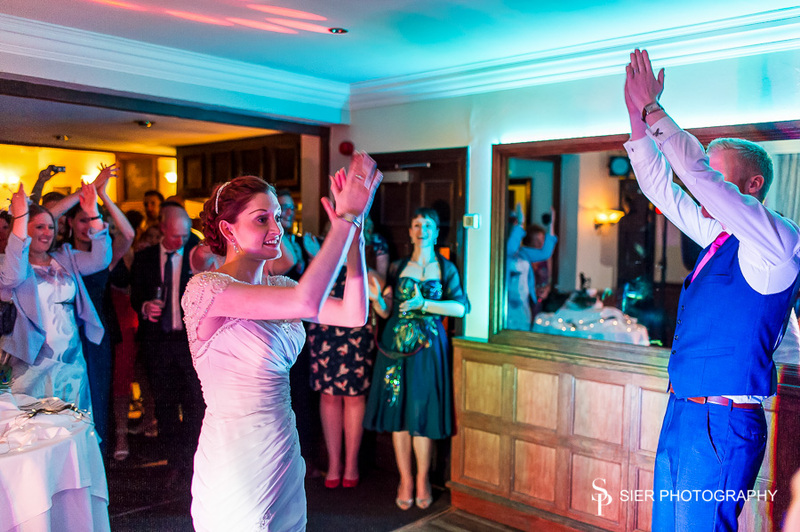 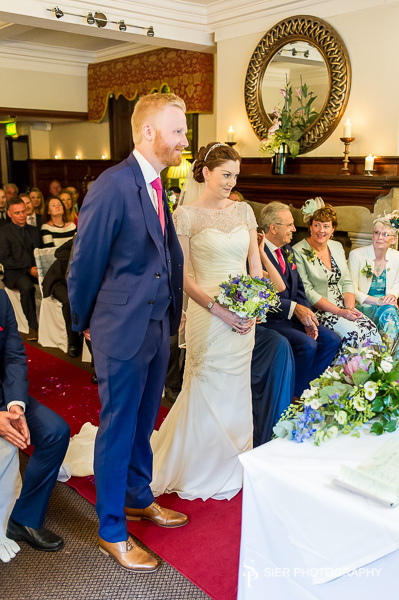 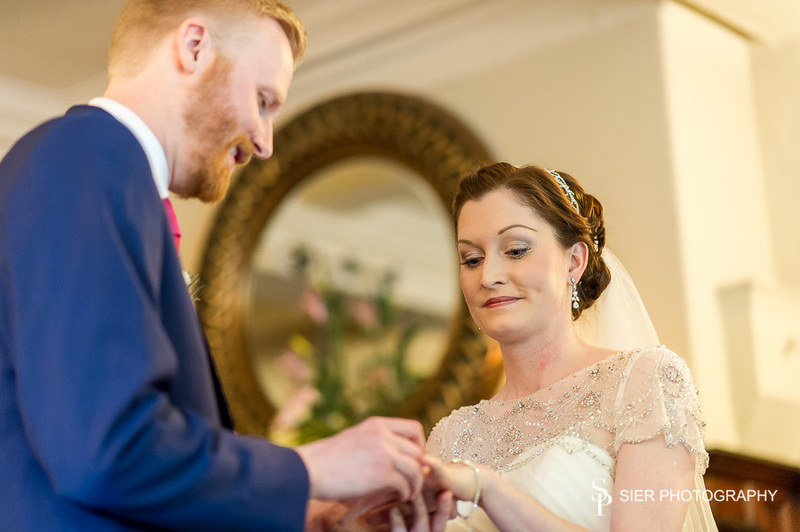 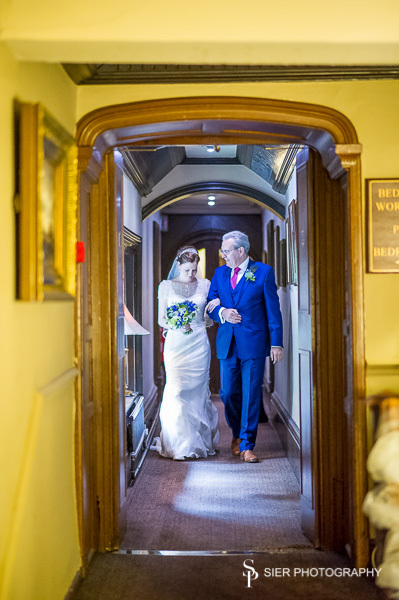 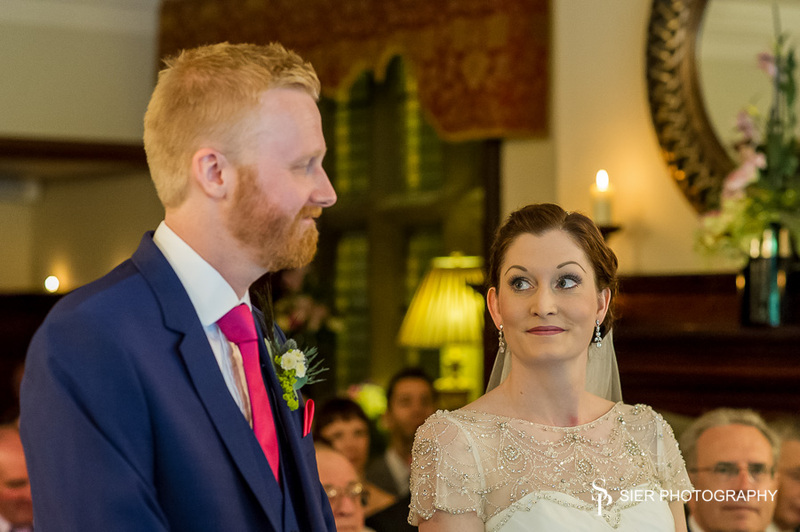 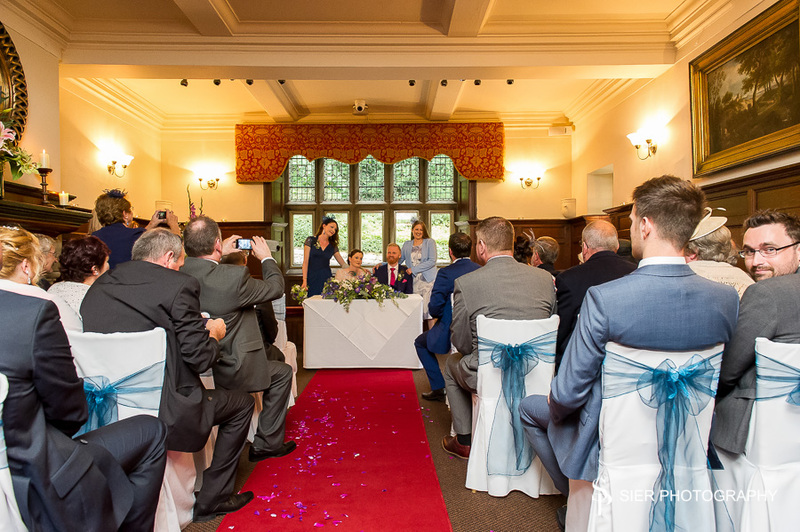 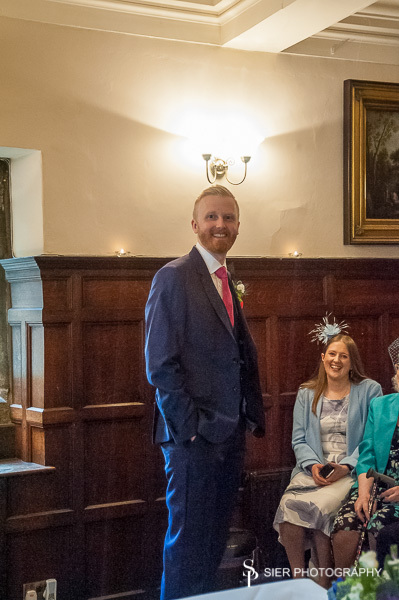 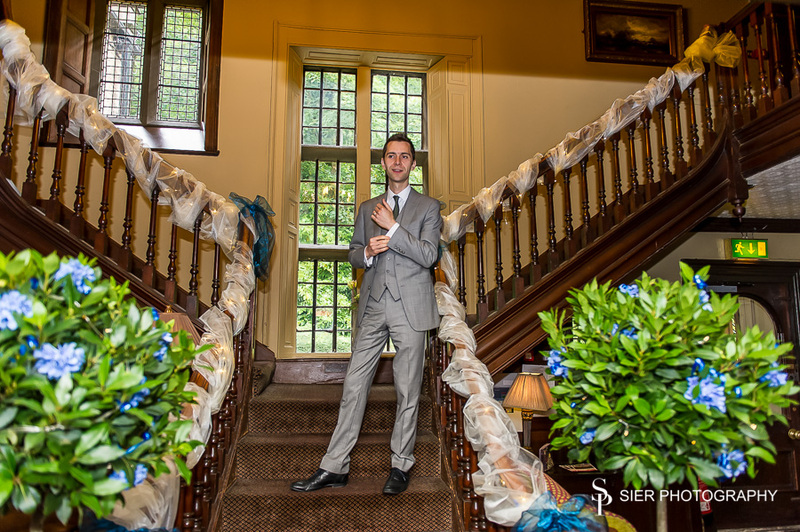 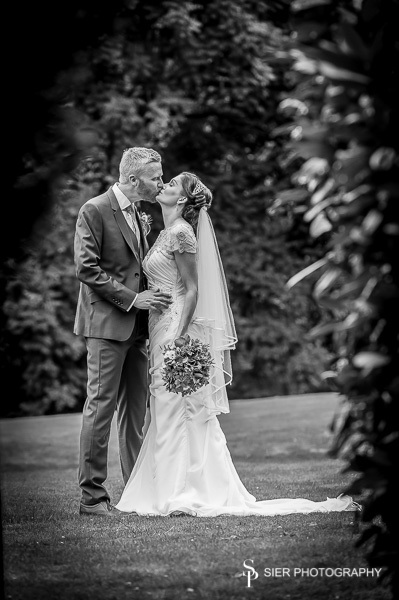 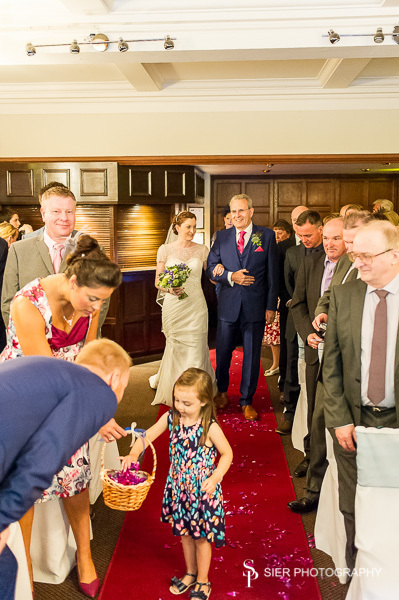 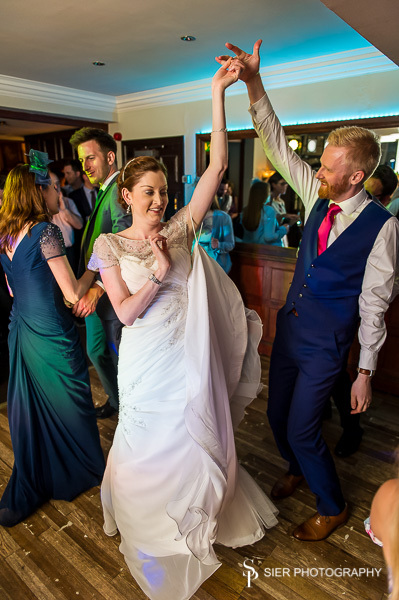 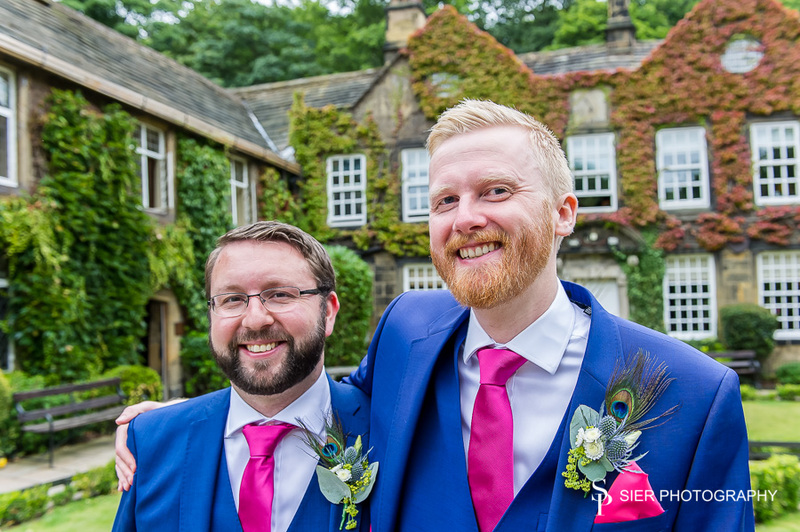 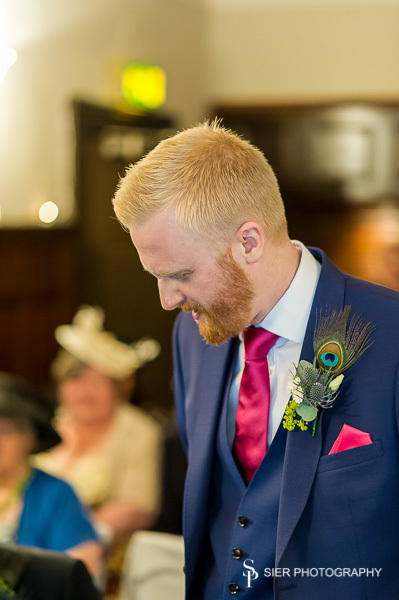 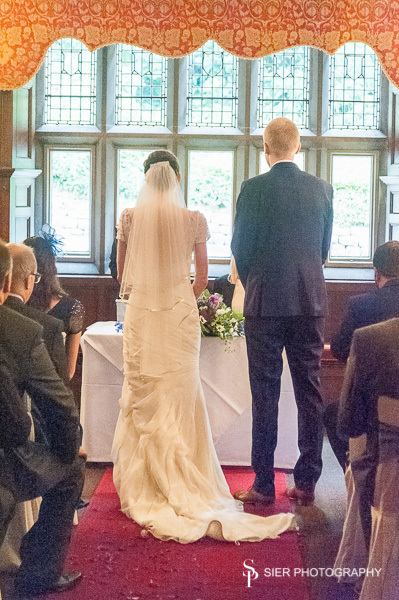 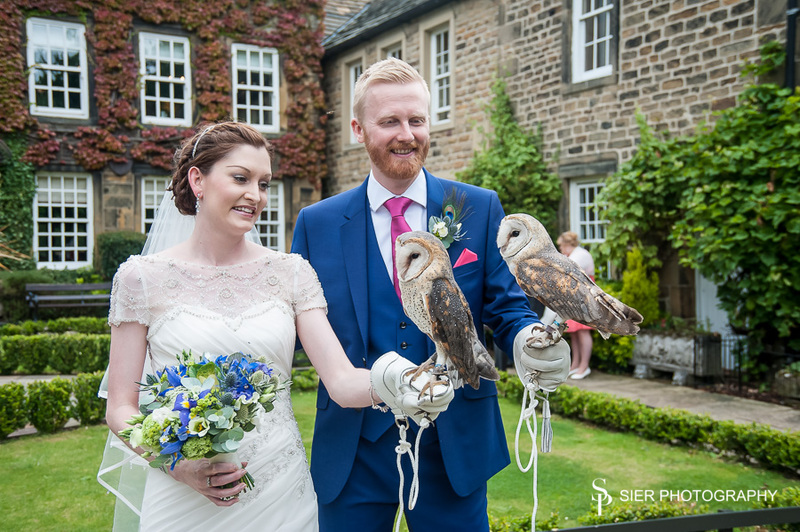 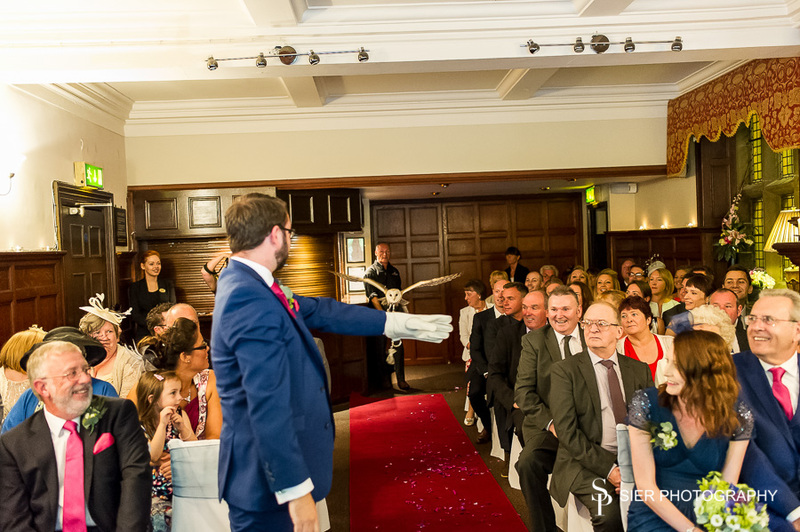 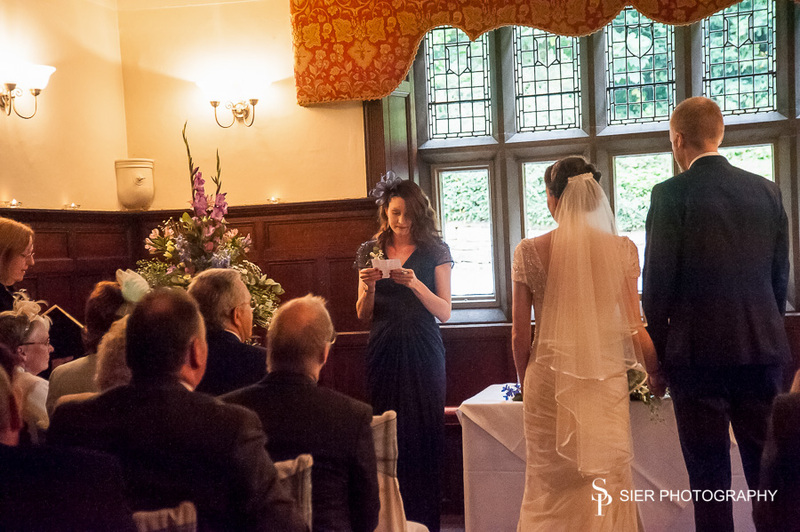 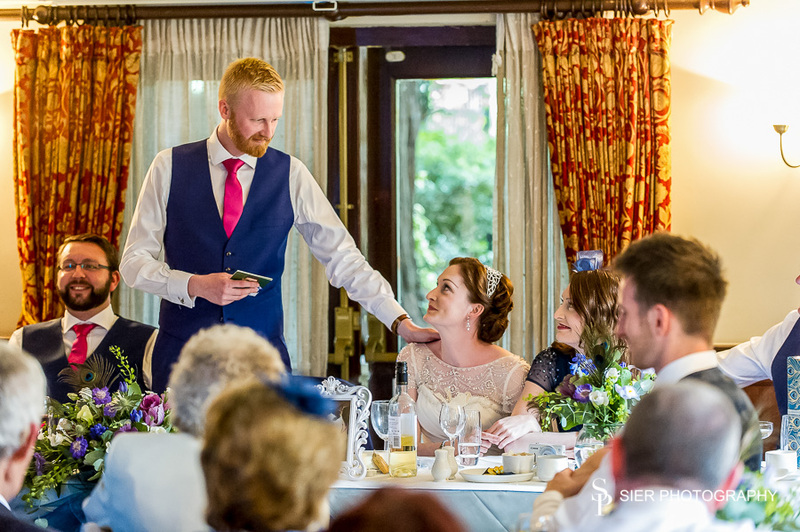 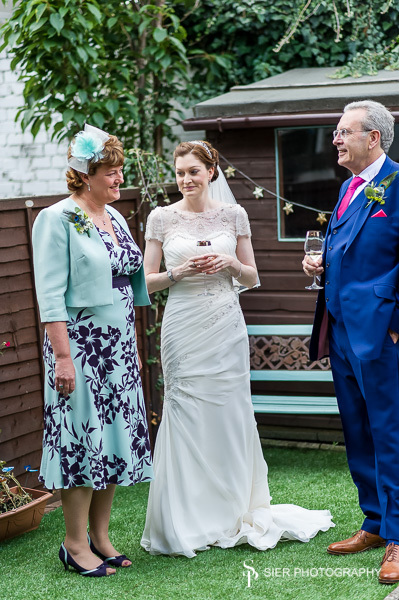 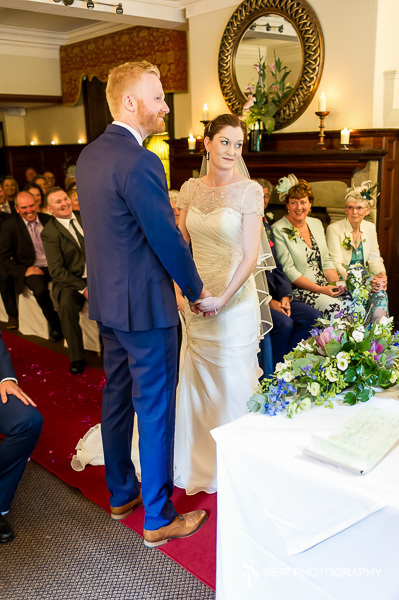 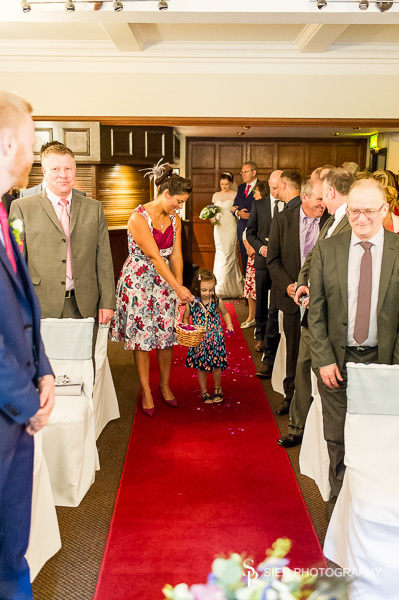 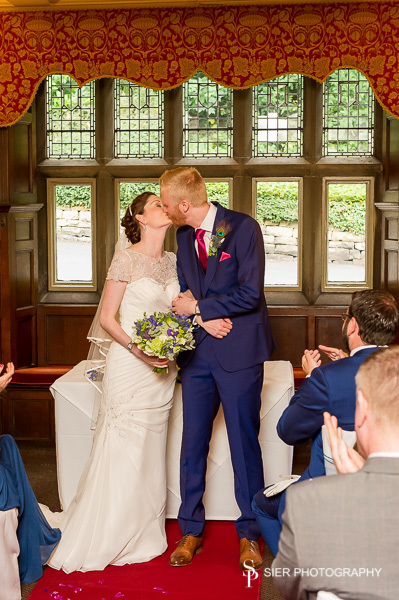 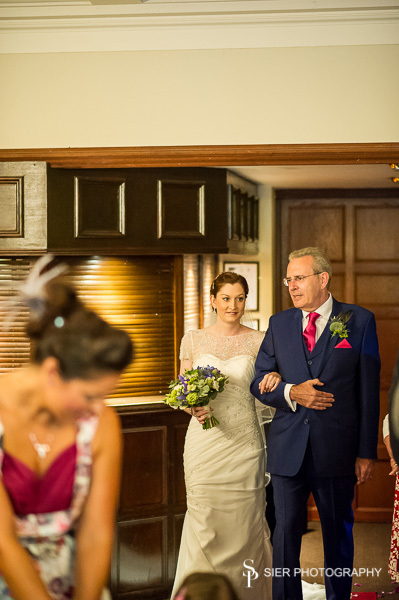 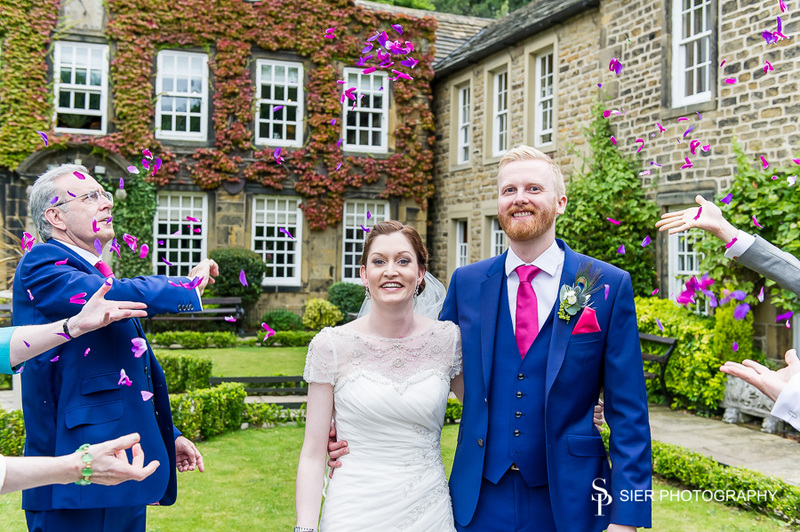 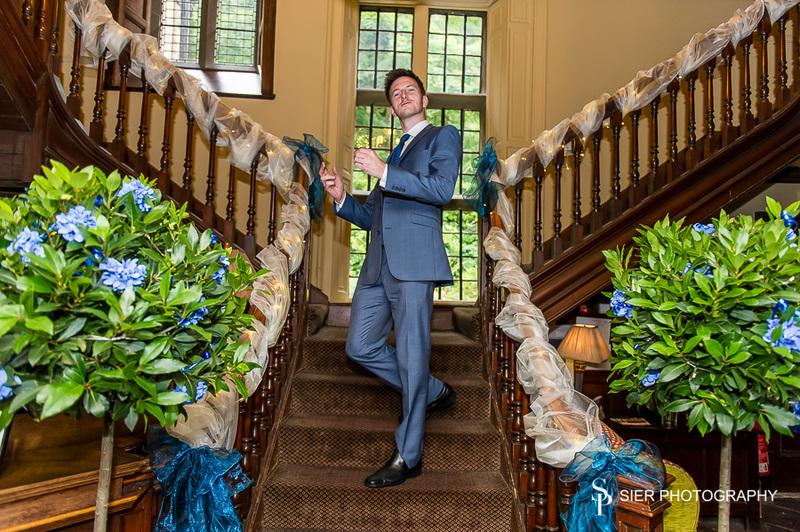 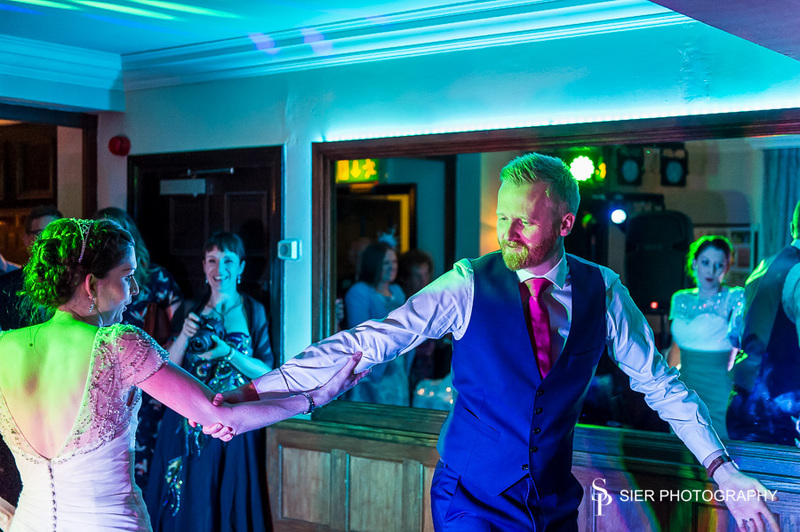 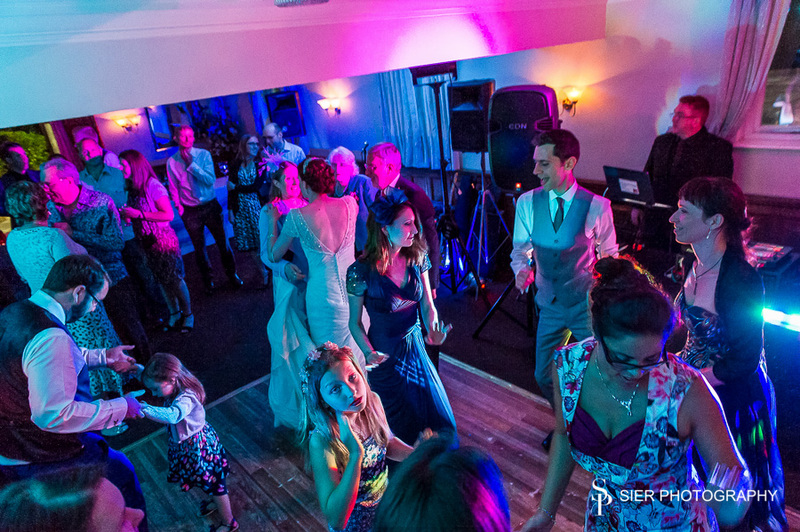 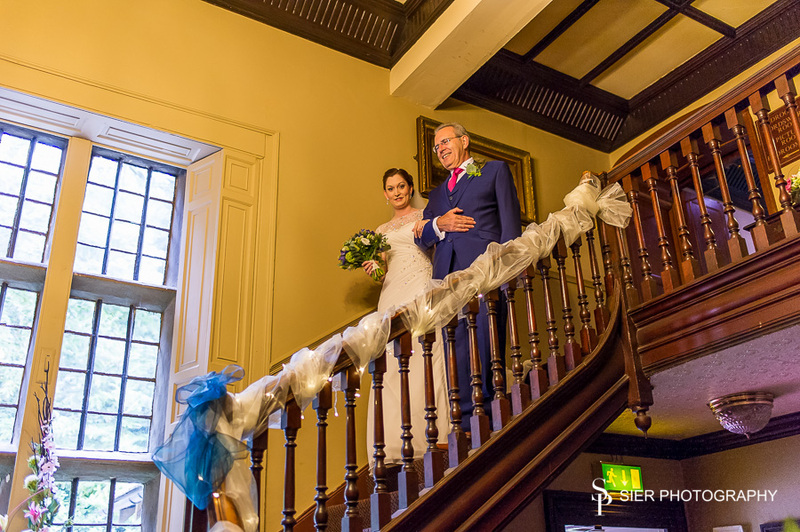 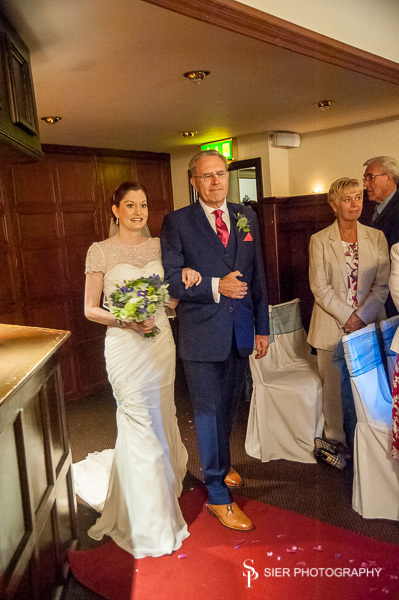 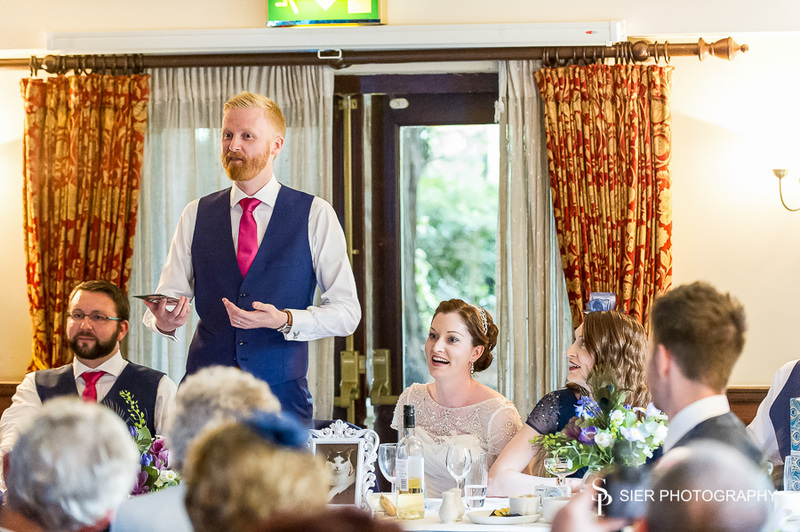 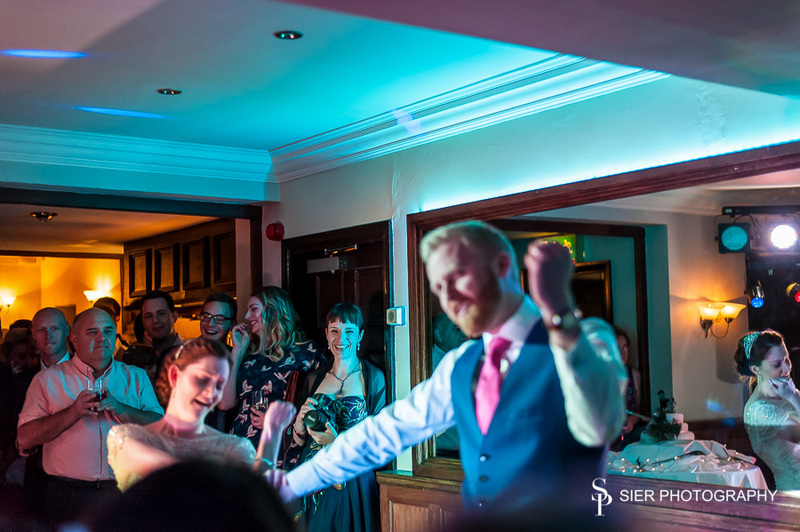 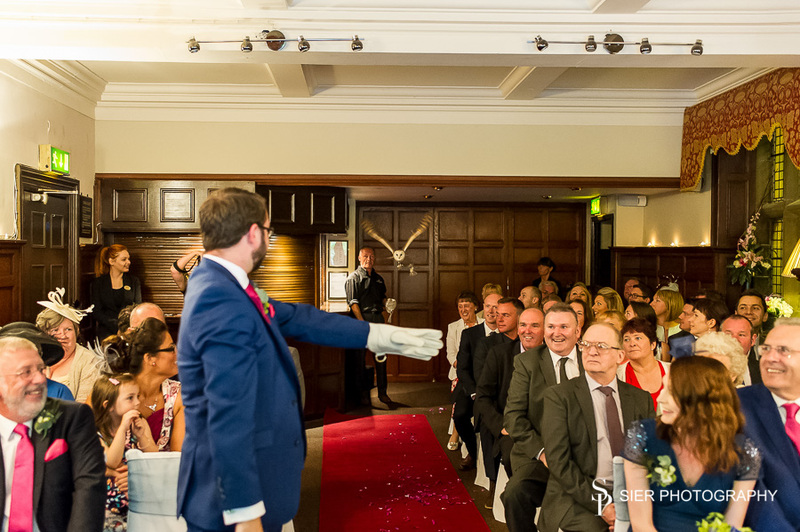 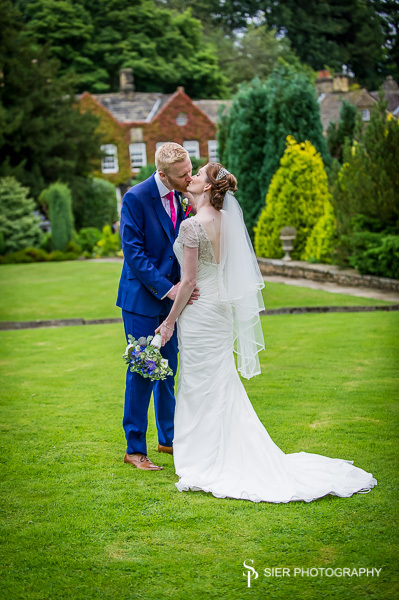 There were a few gasps and bated breaths as the owl swooped down from the back of the ceremony room, not only from the best man waiting to receive the bird and rings! 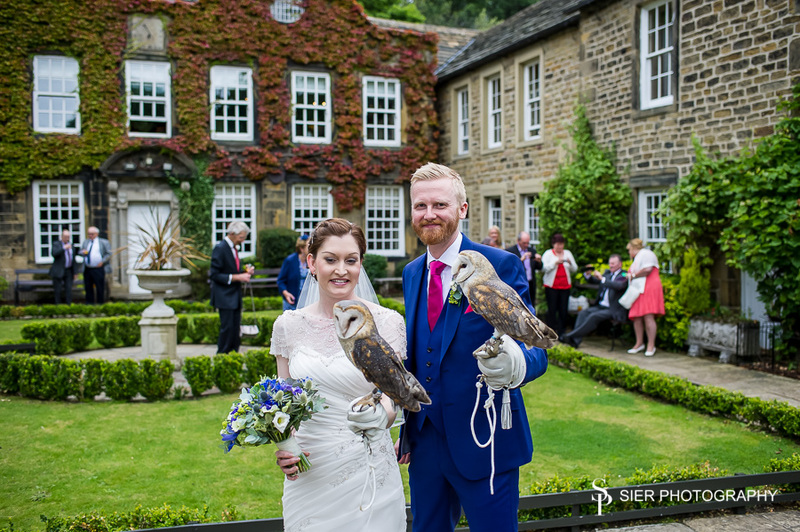 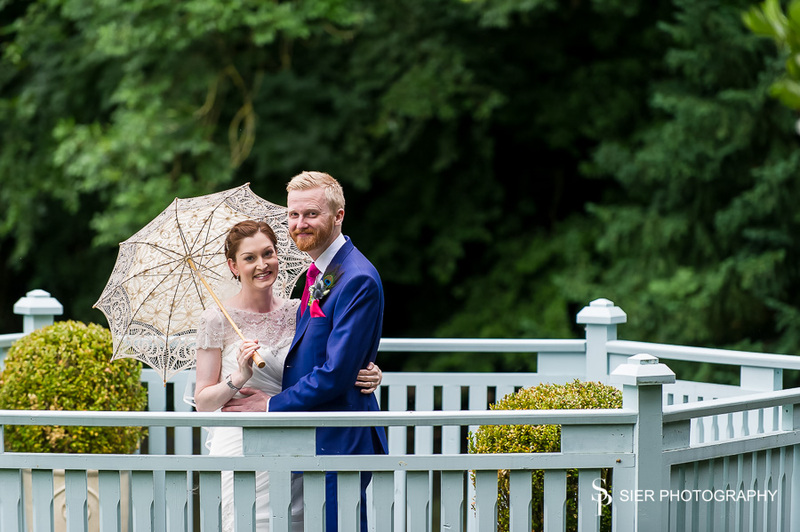 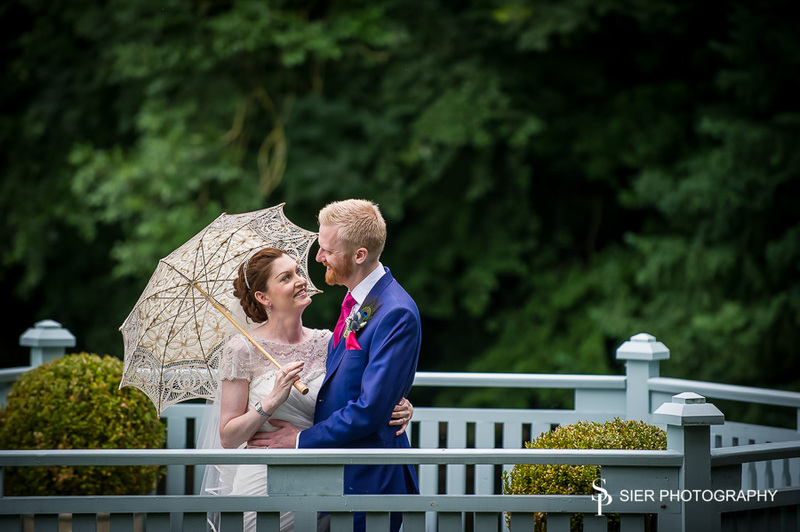 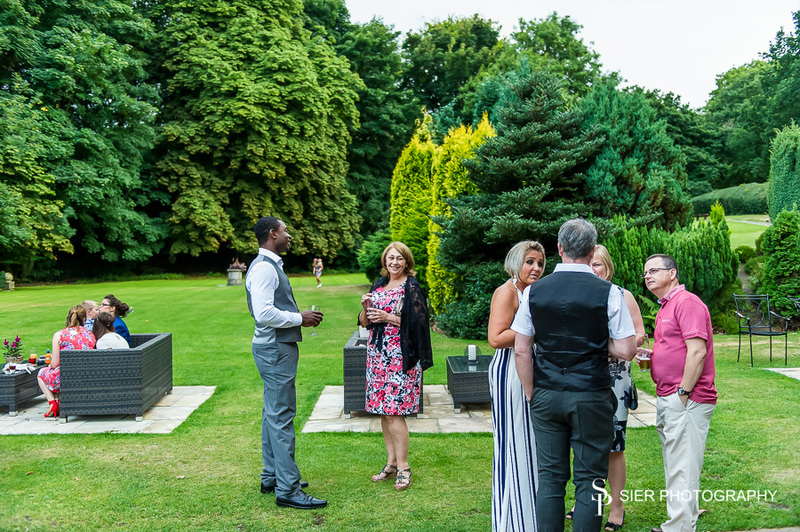 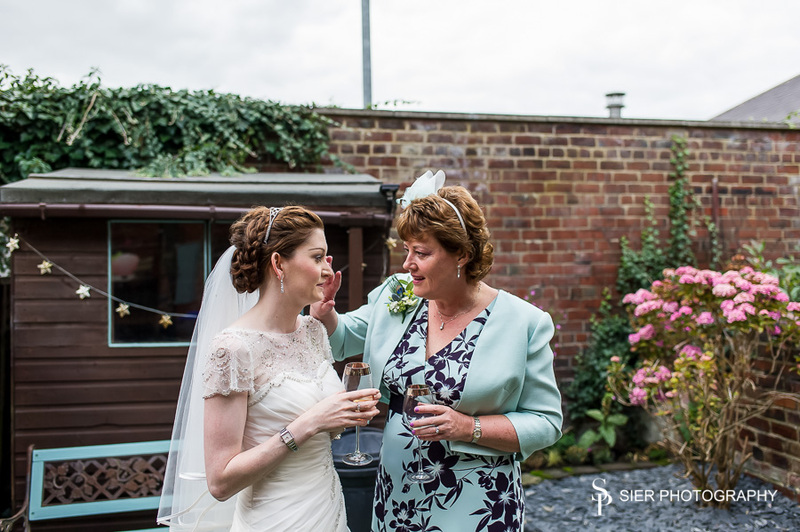 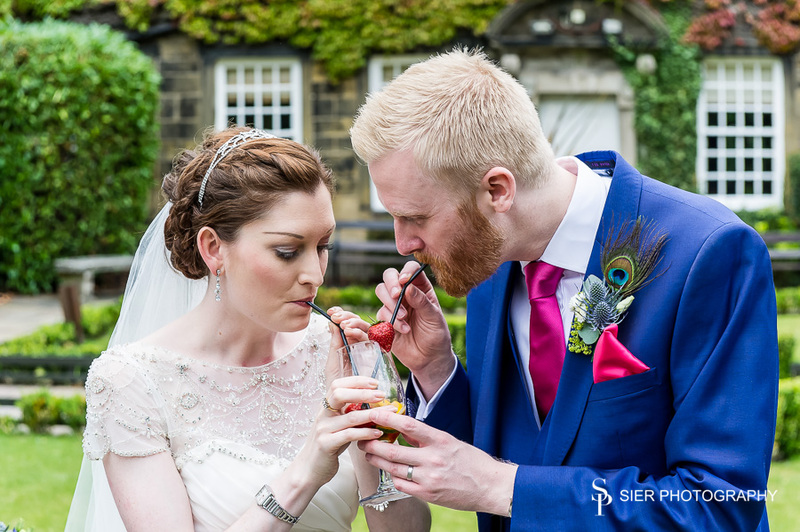 A joyous ceremony lead to drinks on the terrace where guests mingled with the bride and groom and the owl whilst we snapped away. 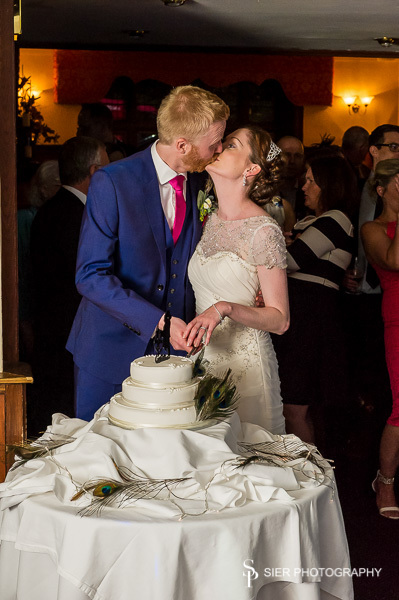 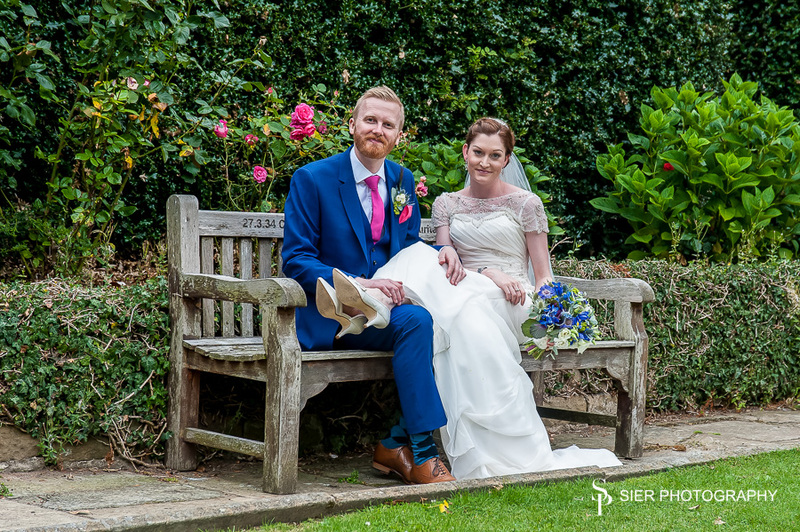 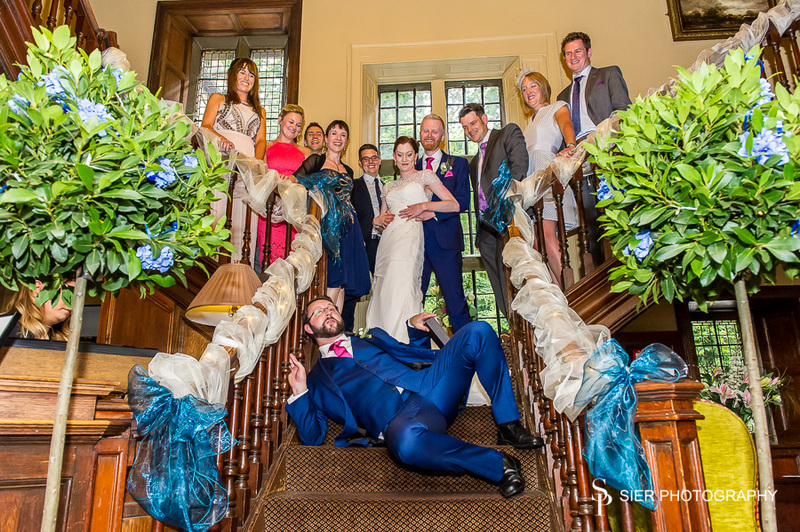 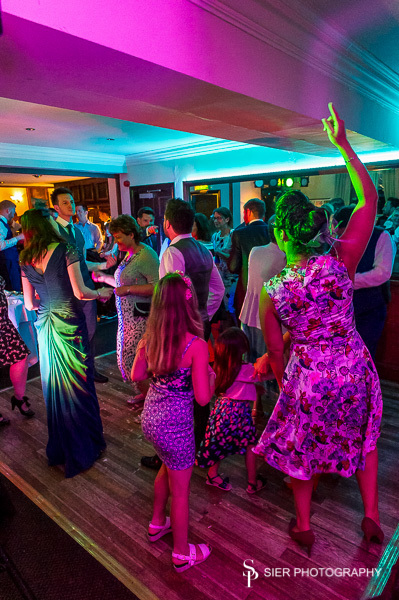 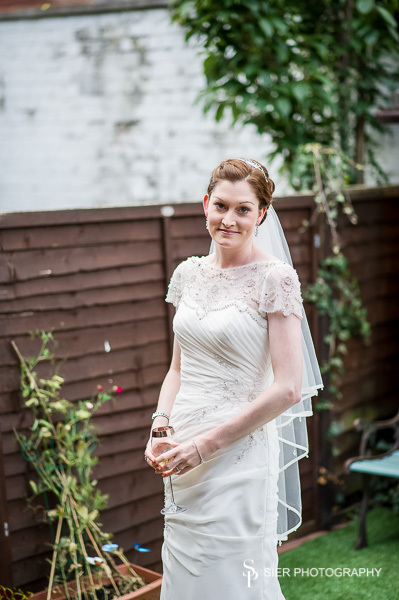 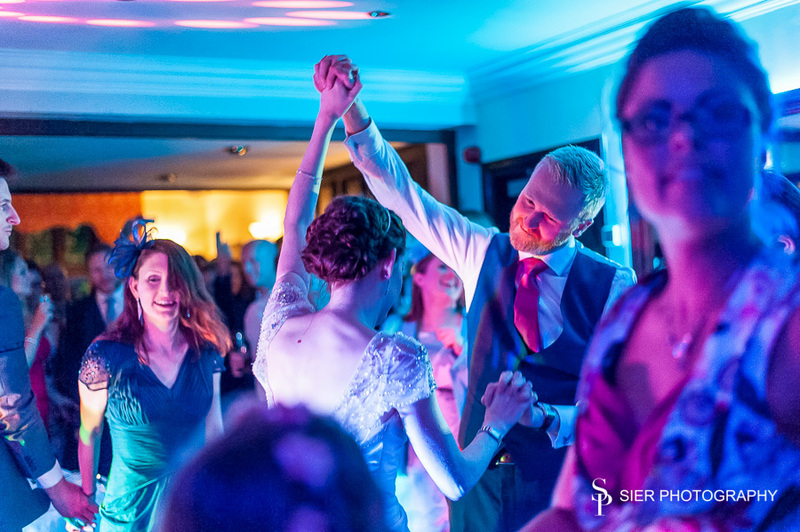 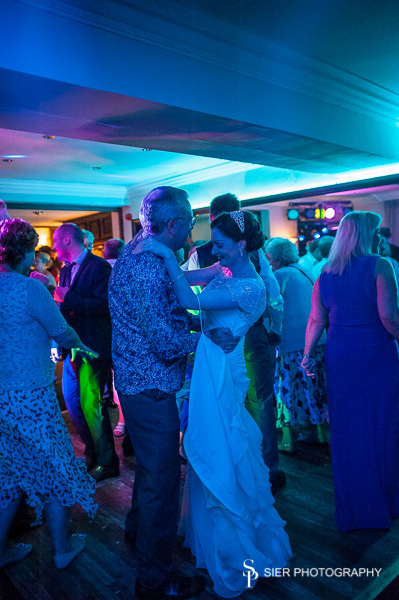 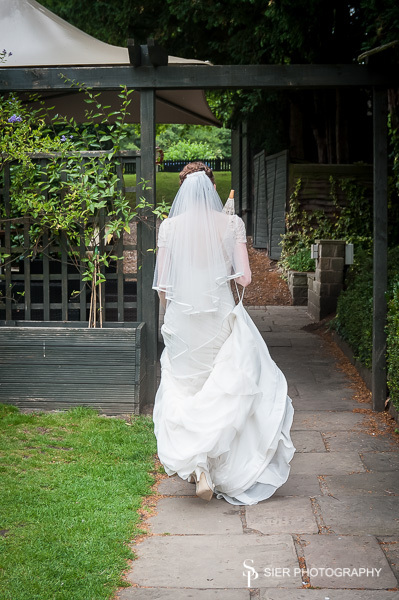 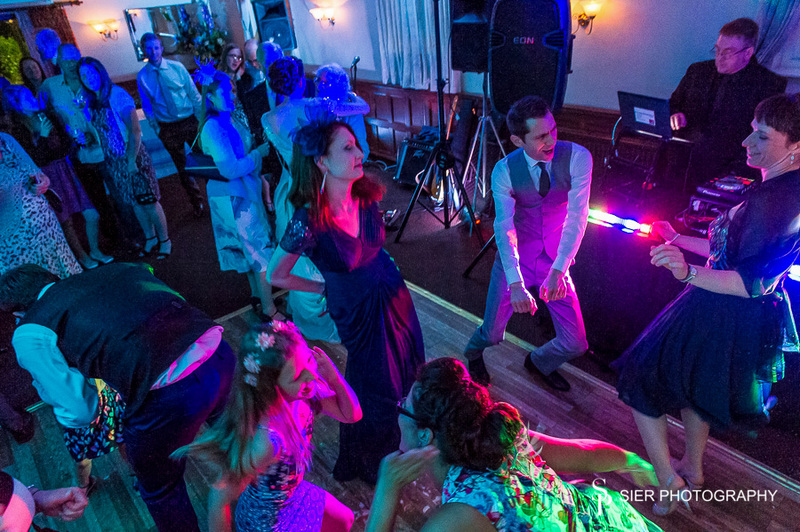 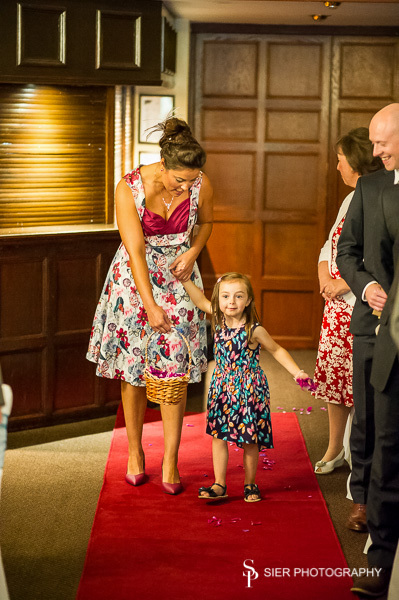 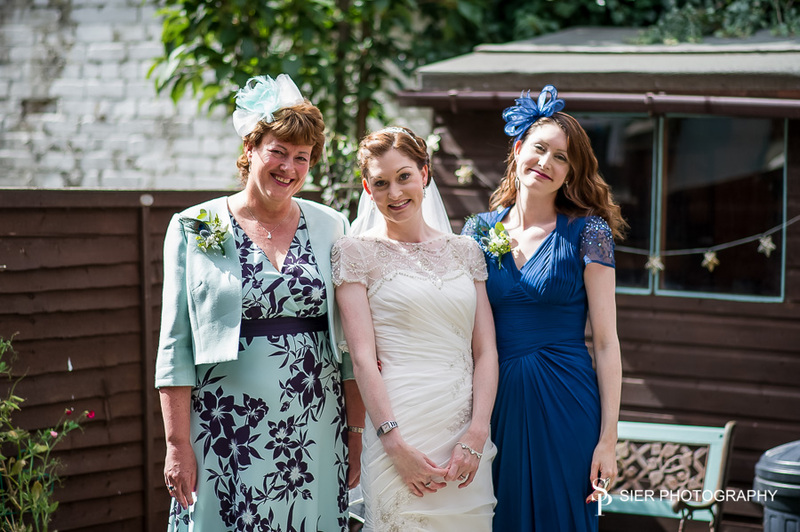 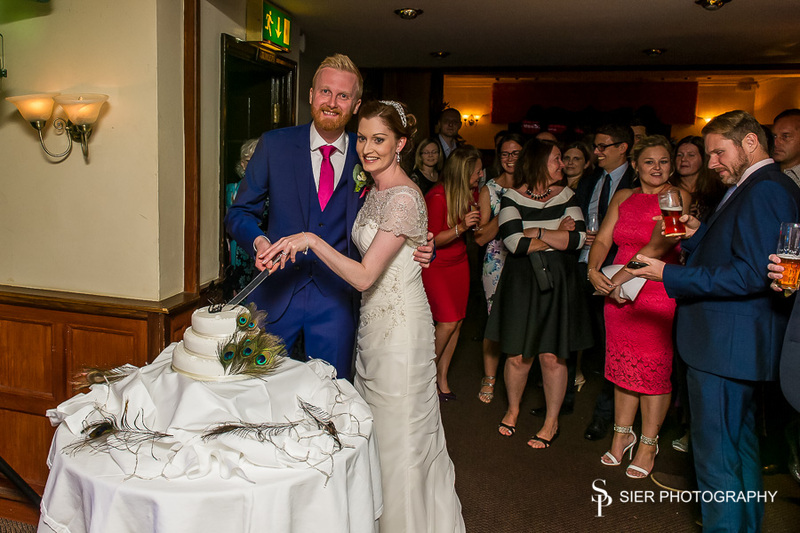 A great celebration of a day with a lovely couple, great families and friends.